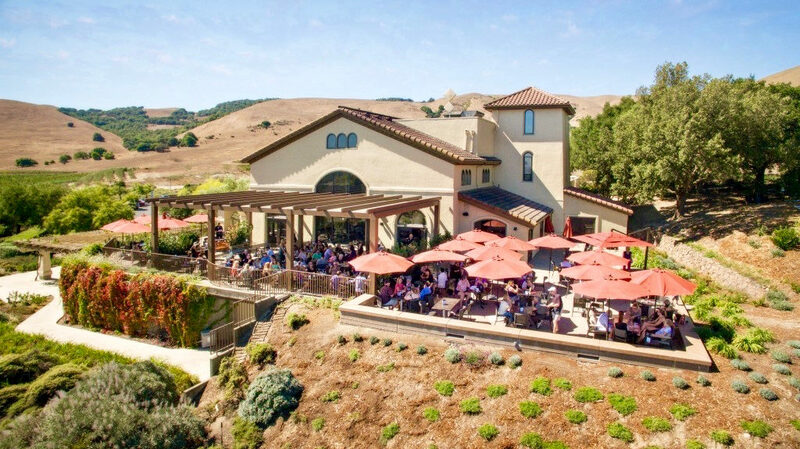 Chateau St. Jean: 2013 Eighty-Five Fifty-Five Sonoma County Red, $70. 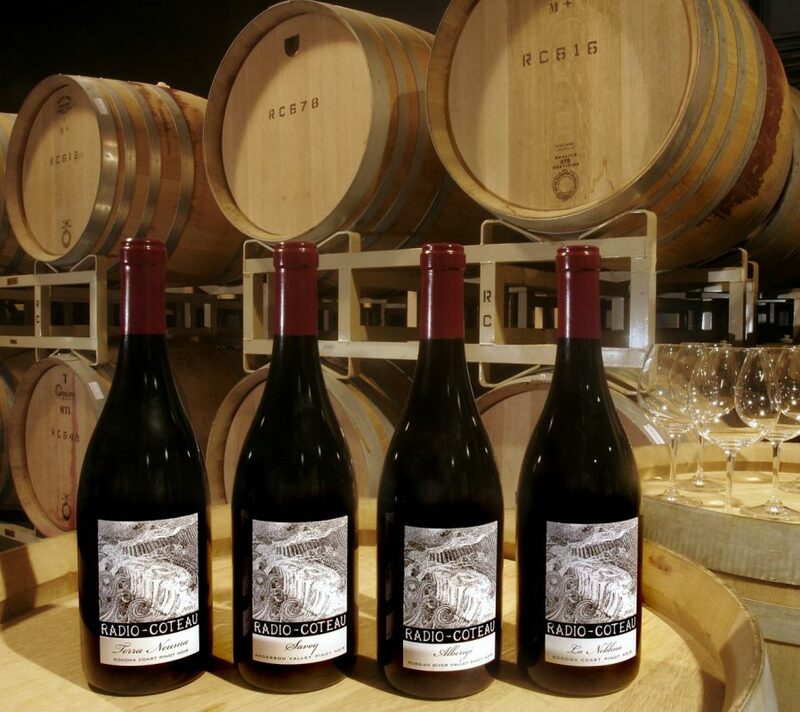 Keller Estate: 2014 El Coro Sonoma Coast Pinot Noir, $52, and 2013 Rotie Sonoma Coast, $54. Merry Edwards Wines: 2014 Olivet Lane Vineyard Russian River Valley Pinot Noir, $62. 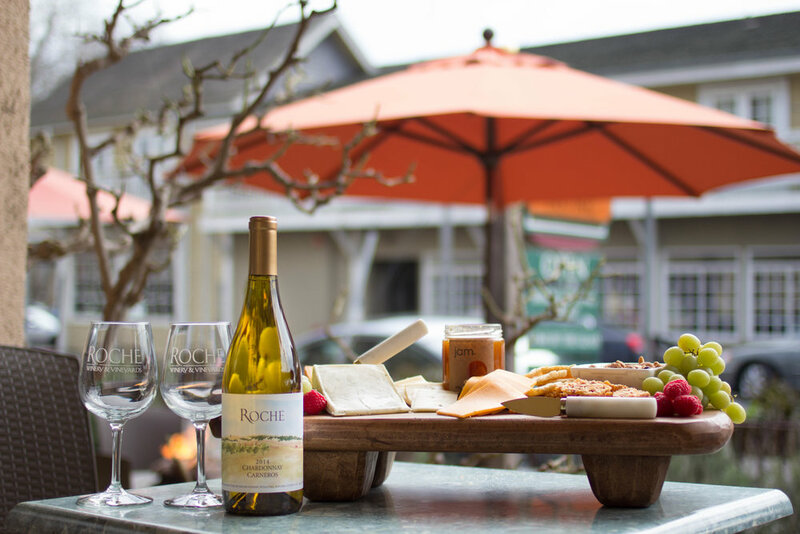 Rochioli Vineyards & Winery: 2016 Estate Russian River Valley Sauvignon Blanc, $32. 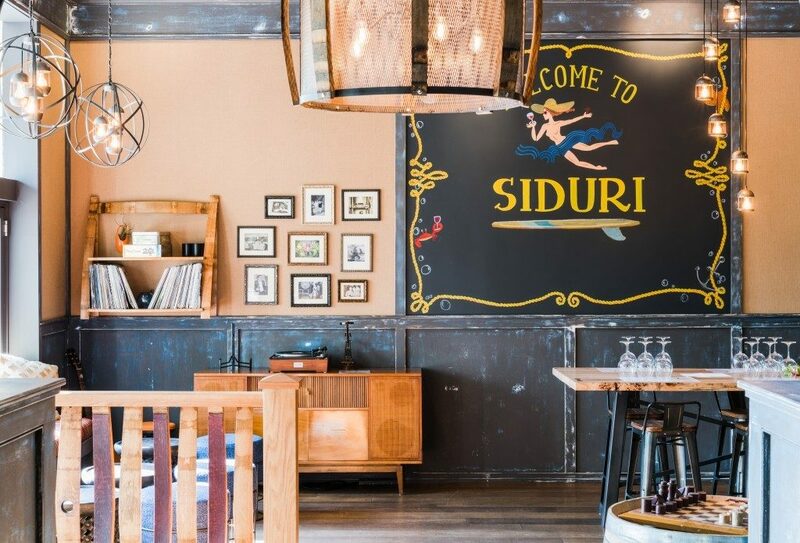 While this list is studded with wines most would consider special-occasion purchases, there are also many reasonably priced bottles and some crazy-good values. 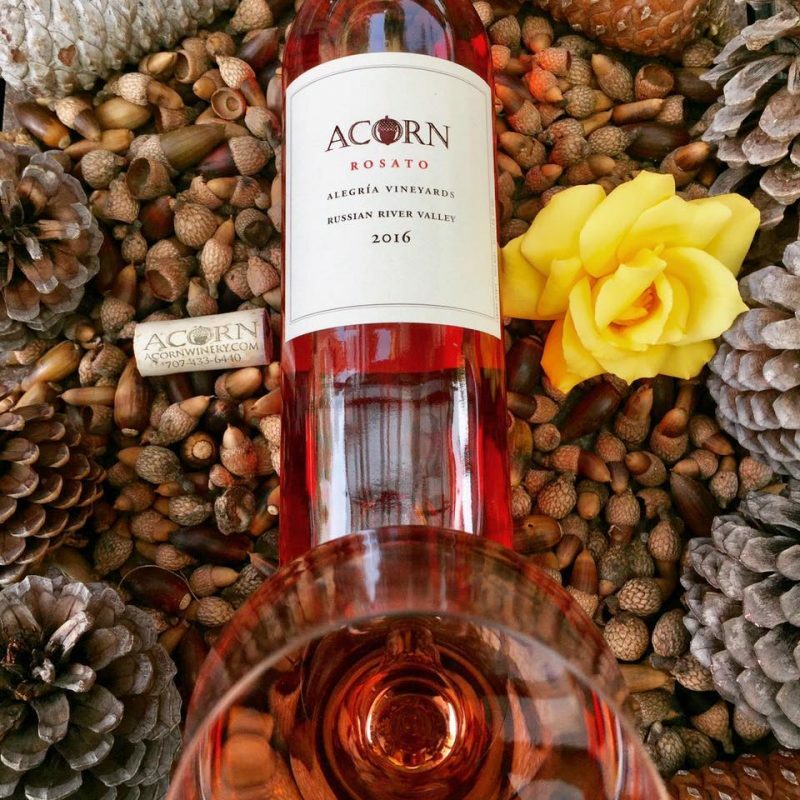 In addition to Chardonnay and Pinot Noir, our Top 100 showcases rosé — its popularity soaring now that sweet White Zinfandel is firmly in the rear-view mirror. 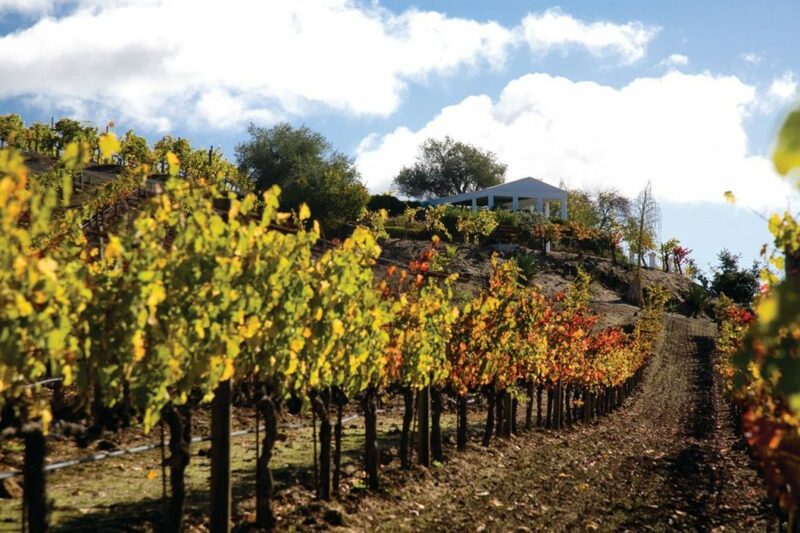 “Red” Zinfandel remains historically and deliciously important, with high-alcohol versions largely giving way to wines with balance and freshness. 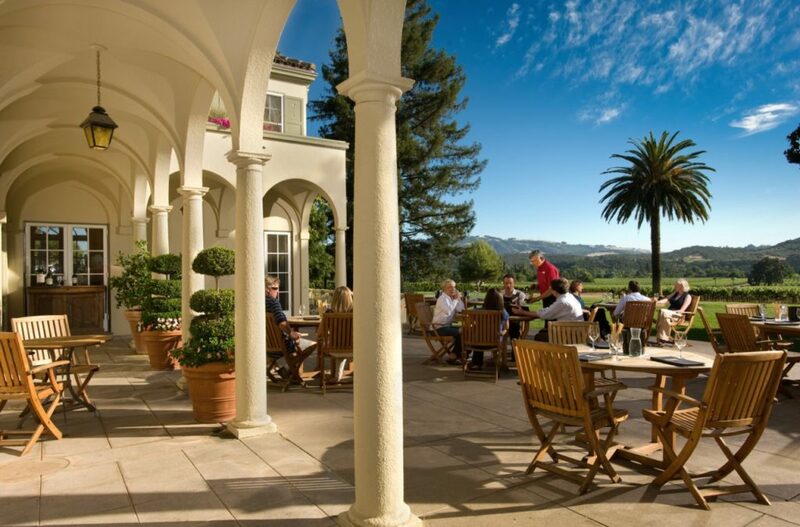 Sauvignon Blanc, Rhône Valley-style wines, Bordeaux varietals and sparklers are all represented here, underscoring Sonoma’s ability to produce a diverse range of fine wines. This 100 percent Chardonnay scored 97 points at NCWC* and is a testament to the grape’s suitability for sparkling wine production. It’s spicy, crisp and slightly yeasty, with green apple, lemon meringue and white-peach flavors, lifted by bracing acidity. Spanish-owned Gloria Ferrer’s Royal Cuvée was first served to the King And Queen of Spain in 1987. Today, this complex, Champagne-like wine has a keen balance of rich apple, citrus and honey flavors, with the fresh-bakedbread complexity and racy acidity prized by lovers of sophisticated sparkling wine. Aromas of yeasty dough, apple and spice lead to a refreshing yet also rich palate of apple, pear and citrus fruit. The layering of the various aromas and flavors, with extended aging in the bottle, make for a multidimensional bubbly with grace and gravitas. Year after year, this blanc de noirs-style sparkler — a blend of Pinot Noir and Chardonnay — dazzles with its copperypink color, floral and baked-bread aromas, and mouthful of Queen Anne cherry and strawberry fruit. It’s elegant, precise and slightly creamy, with a long, brisk finish. Delicately floral and yeasty, this energetic bubbly wowed NCWC judges, who awarded it 98 points and the Best of Show Sparkling Wine award. Comprised of Pinot Noir and Chardonnay, with a splash of Pinot Meunier, it’s a basketful of justpicked strawberries, raspberries and cherries, with tangerine, brioche and toastedalmond accents. 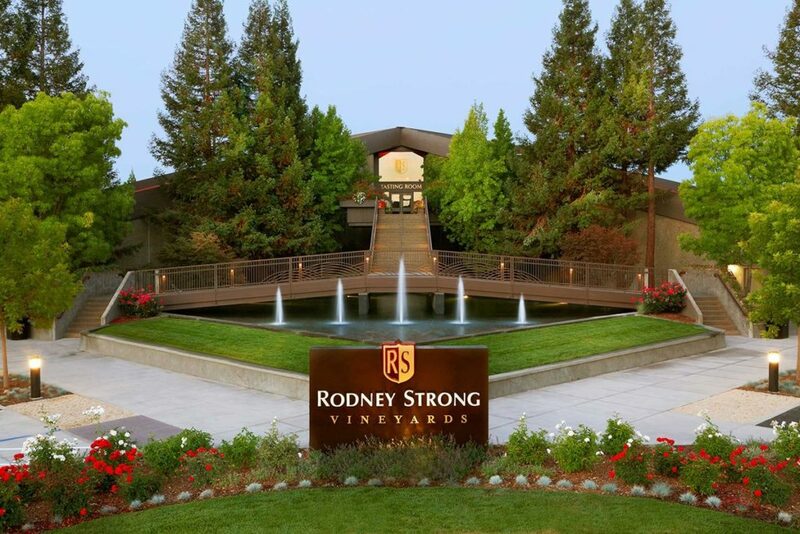 Created to celebrate former J owner Judy Jordan’s 20th anniversary at the Healdsburg winery, this nonvintage blend has depth and yeasty richness. Granny Smith apple, Meyer lemon and Asian pear aromas and flavors are enhanced by toasted hazelnut, brioche and vanillin oak notes. 2016 Reserve Sonoma County Sauvignon Blanc, $15 Bright and brisk, it’s laced with ruby grapefruit, honeydew melon, lime and kiwi fruit flavors. 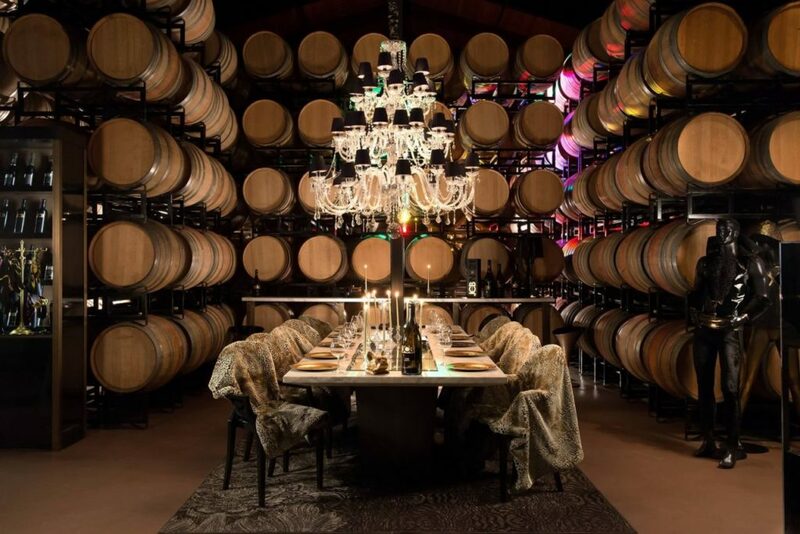 Fermentation and aging in stainless steel tanks preserved the grapes’ juicy flavors. This wine delivers a lot of bang for the buck. NCWC judges awarded it 97 points for its zingy grapefruit, lime and kiwi fruit aromas and flavors, vibrancy and subtle herbaceous character. It’s a keen value, as well as a great mate with oysters, ceviche and petrale sole with lemon and capers. It scored 97 points at NCWC, earning kudos for its vibrant (and classic Dry Creek Valley) grapefruit, lime and lemon aromas and flavors. Subtle herbal notes add complexity to this thoroughly refreshing wine. Buy this Sauvignon Blanc by the case for its mouthwatering citrus, lemongrass and green melon aromas and flavors … and also for its age-worthiness. Dry Creek Vineyard Fumé Blancs from the late 1970s still taste lively and refreshing. Best of Class winner at NCWC, at 98 points this wine is “as expressive as a just-lit firecracker,” as one judge described it. It’s utterly refreshing and zingy, with kiwi fruit, green melon, guava, leafy herb and Meyer lemon complexity. Racy and complex. Made by Spanish native Laura Diaz Muñoz, this sophisticated wine delivers brisk grapefruit, lime and mineral character. Half of the blend was aged in new and older French oak barrels, lending textural complexity to the vibrant fruit character. This well-priced crowd-pleaser — often discounted at grocery stores — delivers juicy citrus, peach and mango flavors. Hints of honey and bell pepper add interest to a refreshing wine that is generously fruity and on the less assertive side for the varietal. Lean yet not at all mean, it offers pungent lime, honeydew melon and white grapefruit aromas and flavors, with bracing acidity on the mouthwatering finish. Try it with fresh-shucked Tomales Bay oysters. Striking grapefruit aromas and flavors, racy acidity and background melon and herbal notes are the signatures, year after year, of this iconic wine, produced from vines first planted in 1959. Fermentation and aging in a mix of stainless steel and oak gives this wine mouth-filling texture and complexity. It’s refreshing and lively, with Meyer lemon, green apple and pear fruit accented by barrel spice. 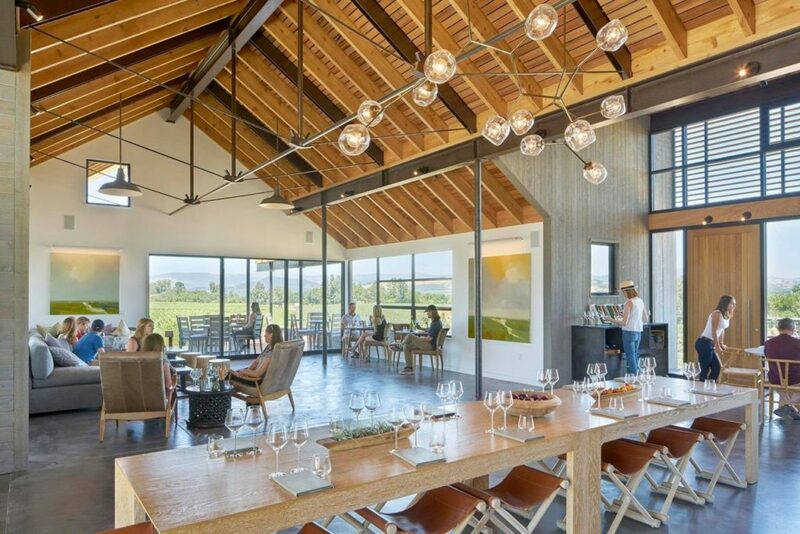 Winemaker Scot Covington compares this wine to the assertive, herb-tinged Sauvignons of France’s Loire Valley and Marlborough in New Zealand, and he’s right. It has hints of fresh-cut grass, gooseberry, lemon-lime, passion fruit and guava, with a juicy mid-palate and zesty finish. Downright delicious. Straightforward and delicious, it’s a fine value, with rich apple and pear aromas and flavors, subtle oak and a long, juicy finish. There’s a lot to like at this price. The Best of Show White Wine at NCWC, this 98-pointer is beautifully balanced and textured, with just the right amount of oak spice accenting the layered Meyer lemon, pear and peach flavors. It’s juicy and vibrant, with great tension and a forever finish. 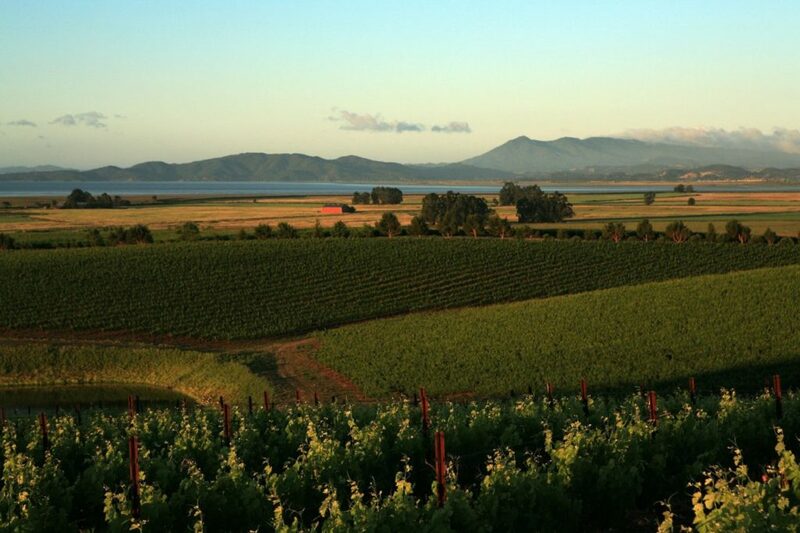 The Martinelli family’s Three Sisters Vineyard is chilled by its close proximity to the ocean, and the grapes are always late to ripen. The wait was worth it for Benovia winemaker Mike Sullivan, who produced this complex, beautifully textured wine redolent in golden apple, Meyer lemon curd, mineral and floral character. Tangerine, candied citrus peel and orange marmalade aromas and flavors mark this wine, which is medium-bodied and focused, delivering dramatic tropical and citrus personality and seamless texture. This gold medal-winner at NCWC is as good as many Chardonnays sold at twice the price. 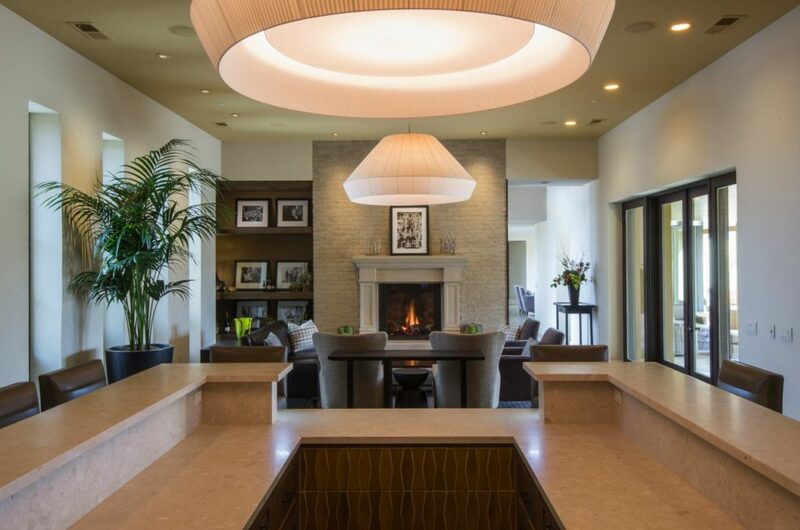 Shelton, best known for her bold Zinfandels and Petite Sirahs, also has a deft hand with white wines, as evidenced by this ripe, rich Chardonnay showing tropical fruit, Asian pear and Meyer lemon aromas and flavors. Here’s a relative steal in Russian River Valley Chardonnay: an expertly made wine with fabulous balance and clarity. Granny Smith apple, citrus and unripe pear flavors are wrapped in gentle oak spice and vanillin, finishing long and crisp. 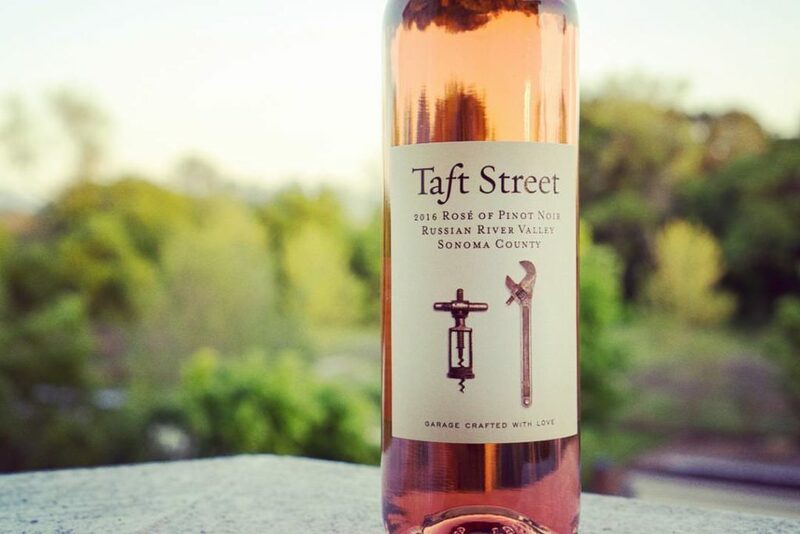 From the coolest part of Russian River Valley comes this bracing wine with layers of flavor that unfold with each sip: green apple, pear, white peach and Meyer lemon, with hints of spice, fresh cream and toasted hazelnut. It’s lively and lingering. Ryo-fu is Japanese for “cool breeze,” and Akiko Freeman is the maker of this wine. 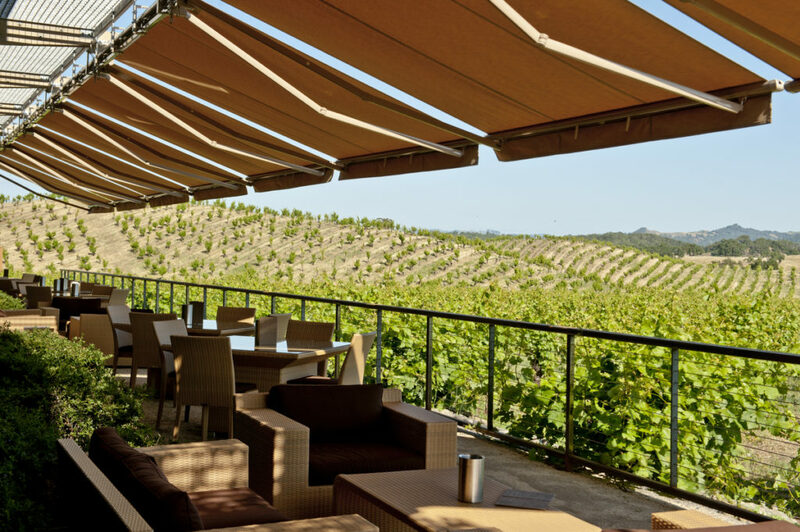 Five vineyards in the path of breezes contributed grapes for the blend, which begins on the nose with evident toast and hazelnut aromas, followed by a refreshing mouthful of green apple, pear and citrus fruit. Density is balanced by crunchy acidity in this generously flavored wine. Golden apple, nectarine, Asian pear and crème brûlée notes meld beautifully, and the finish is fresh and clean. Hello, crab cakes. This citrus- and green-apple-based wine is lean and mouthwatering now, yet has a history of evolving into a richer, broader wine in the cellar. Think of it as Chablis-like, with crackling acidity and a flinty note in the aroma. This 97-point wine from NCWC is lean and elegant, with a toasty, yeasty, creamy component to the racy Meyer lemon and Gravenstein apple flavors. Its yin and yang contrast makes for a fascinating wine. A new wine for MacRostie, it’s rich and polished, with unfolding layers of pear, green apple, hazelnut and caramel. The finish is lemony and brisk, making it a great mate for Caesar salad, grilled salmon cakes, chicken salad and seafood pasta. The contrast of tart grapefruit, lime and Granny Smith apple, and smooth vanillin and spicy oak, make for an intriguing, refreshing Chardonnay. Crisp acidity and low alcohol (13.7 percent) make it a fine aperitif and great mate for pan-roasted halibut. James Hall produces Chardonnays and Plnots from single vineyards, yet this multiple-vlneyard blend always delivers consistently exceptional Chardonnays with floral aromas, tropical mango and papaya flavors, Granny Smith apple-llke acidity and judicious oak influence. 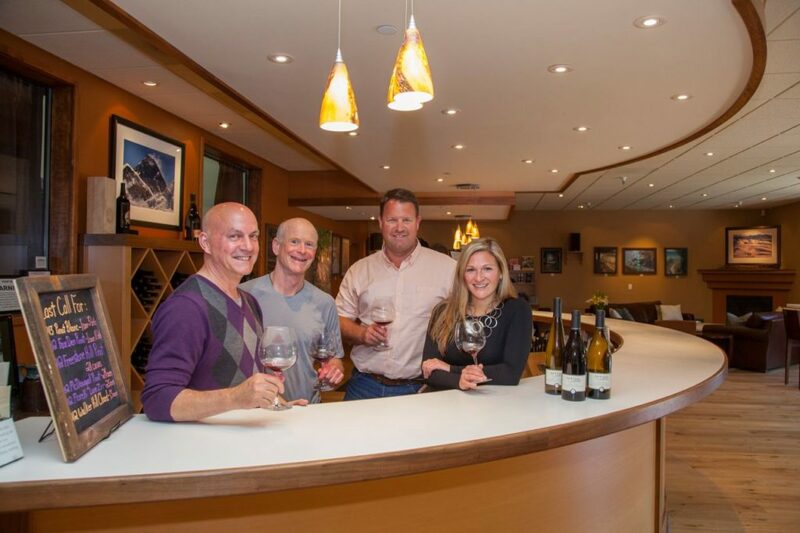 This Is the first Westside Farms Chardonnay produced by David Ramey and his family since they purchased the vineyard in 2013. 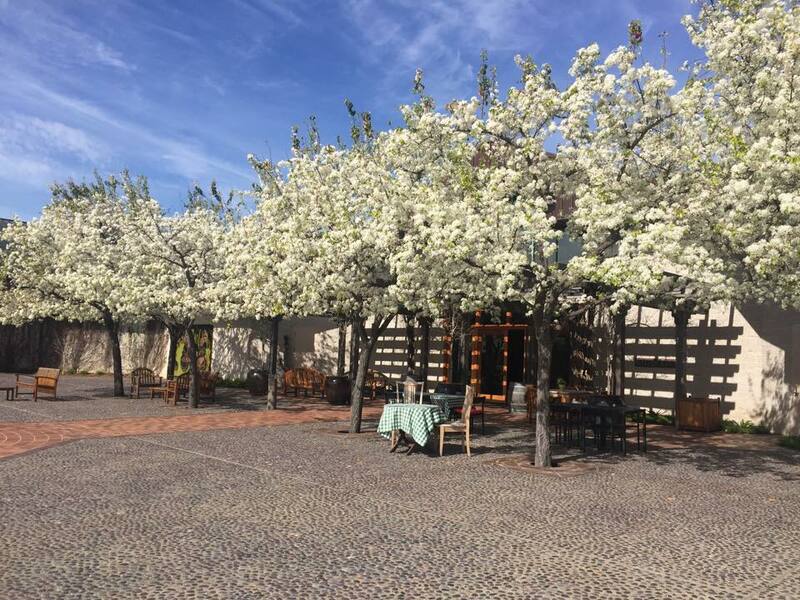 In 2014, the site produced a scintillating wine with great freshness, mlnerallty and vibrant citrus and green apple flavors, gently kissed by oak spice. 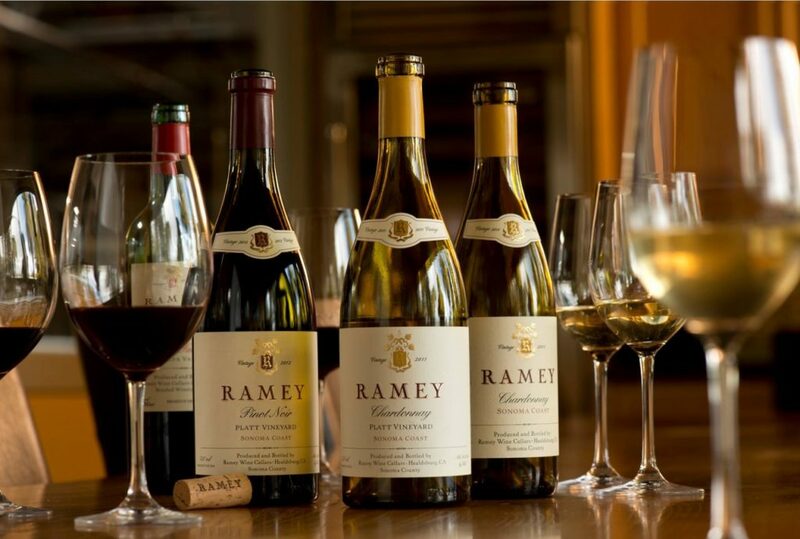 It’s a keen contrast to Ramey’s more boldly flavored Chardonnays, and a great addition to the portfolio. This is a straightforward and honest wine that delivers everything one could want at this price: well-ripened citrus, apple and pear fruit, subtle toast and caramel notes and a bright, fresh finish. It’s a party-pleaser, with no apologies. This new wine from Three Sticks proprietor Bill Price and his winemaker, Bob Cabral, comes from Price’s Gap’s Crown Vineyard In the chilly Petaluma Gap east of that city. It’s supremely balanced, with just the right amount of oak spice, caramel, citrus, yellow stone fruit and minerally acidity. Elegance In a glass. Crisp honeydew melon, white peach and pear flavors ride a wave of mouthwatering acidity, with a minerally finish. It’s not a fruit bomb, but rather a layered, elegant wine that’s compatible with a wide range dishes and is a great quaff, too. Textbook rose petal, ginger and lychee aromas lead to a juicy palate of pears, apples and citrus. 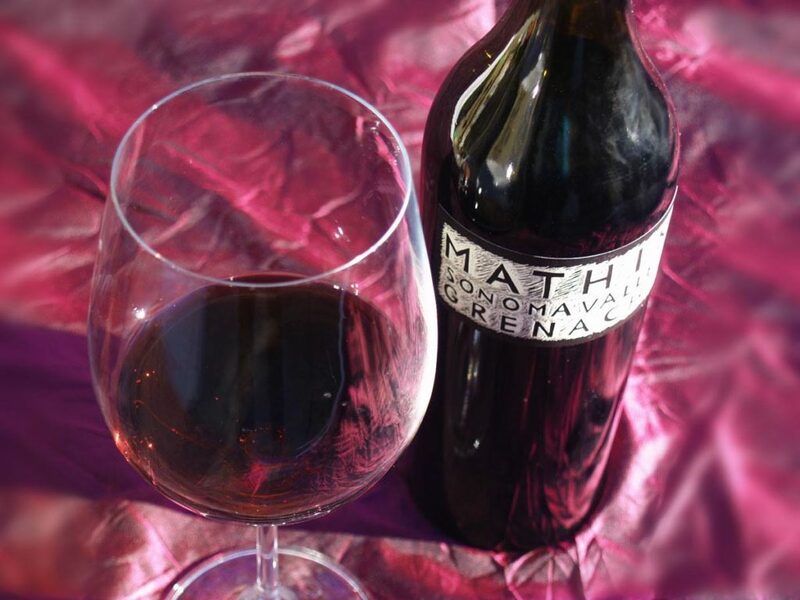 It’s a dry wine that gains subtle natural sweetness from the ripe, exotic, spicy fruit. 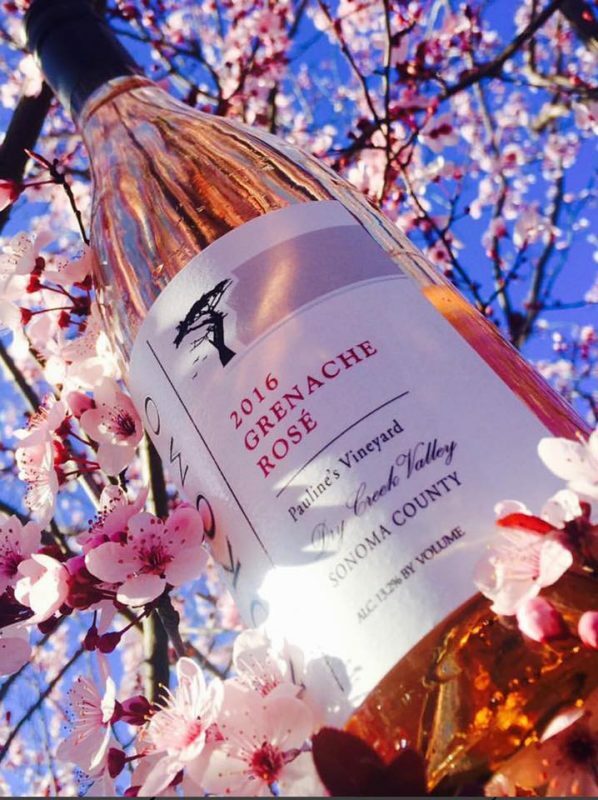 The classic peach and honeysuckle aromas of Viognier lead to a bright, lush palate of yellow peach, grilled pineapple, citrus and honeycrisp apple. There’s a hint of vanilla on the refreshing finish. Versatile with brunch, lunch and dinner, it offers generous pear, citrus, honeysuckle and toasted almond aromas and flavors. 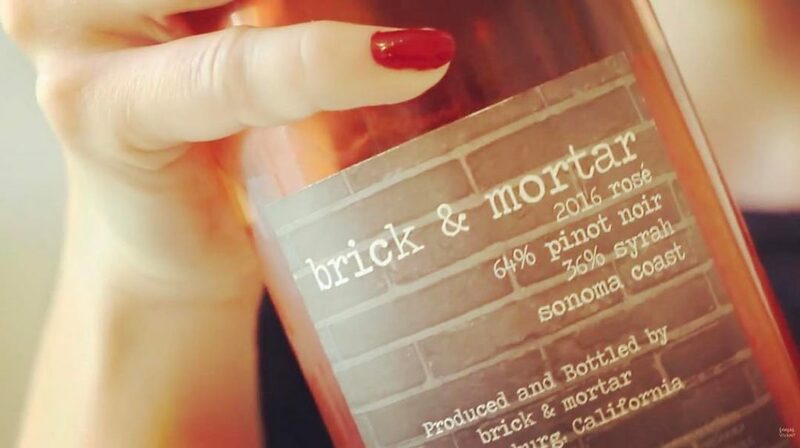 Mediumbodied, dry and refreshing, it’s made from 40-year-old vines by Leo Steen Hansen, a former sommelier in Denmark who relocated to Sonoma to make wine. Brilliantly focused and brimming with juicy apple, pear and tangerine flavors, this version of the rather obscure (in California) Italian Vermentino grape has a lime-infused minerality on its lingering, snappy finish. Its white peach, apple and grapefruit aromas and flavors, generosity of fruit and refreshing finish earned this wine 97 points at NCWC. 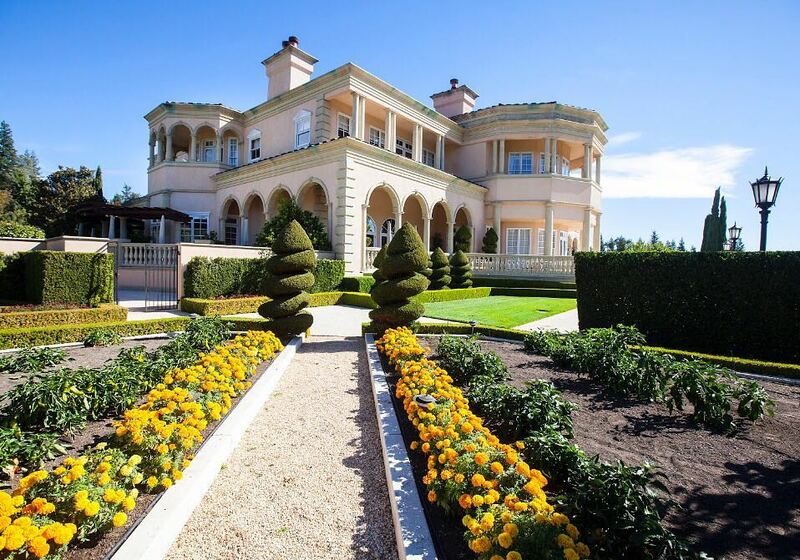 The grapes are estate-grown, near Sonoma Raceway off Highway 37. Unusual for rosé, this one was aged in oak barrels (Hungarian) for four months, yet remains fresh and bright, without any toasty character. 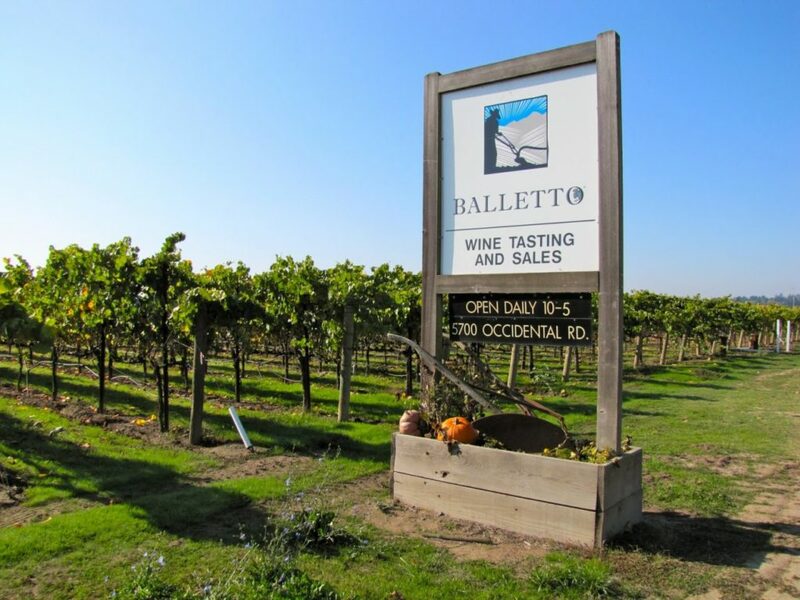 It’s a “field” blend of Dolcetto, Sangiovese, Zinfandel, Cabernet Franc and Syrah, and sports a spicy kick to the strawberry, watermelon and cherry aromas and flavors. This elegant wine has a complex mix of flavors, including peach, raspberry, mandarin and pleasantly tart plum skin. Brisk acidity balances the fruitiness and adds foodfriendly structure and refreshment. 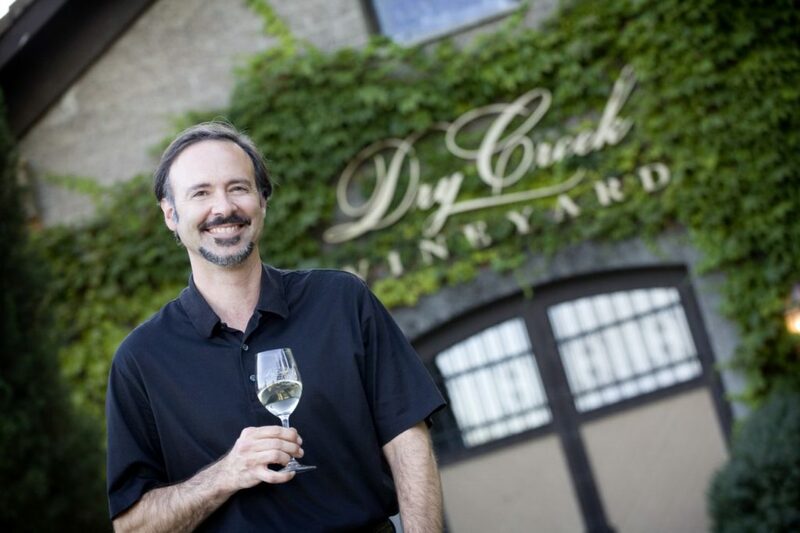 Winemaker Matt Iaconis combined Pinot Noir and Syrah and came up with a dry, racy wine with tangy Meyer lemon, ruby grapefruit and strawberry personality. A streak of wet-slate minerality runs start to finish. 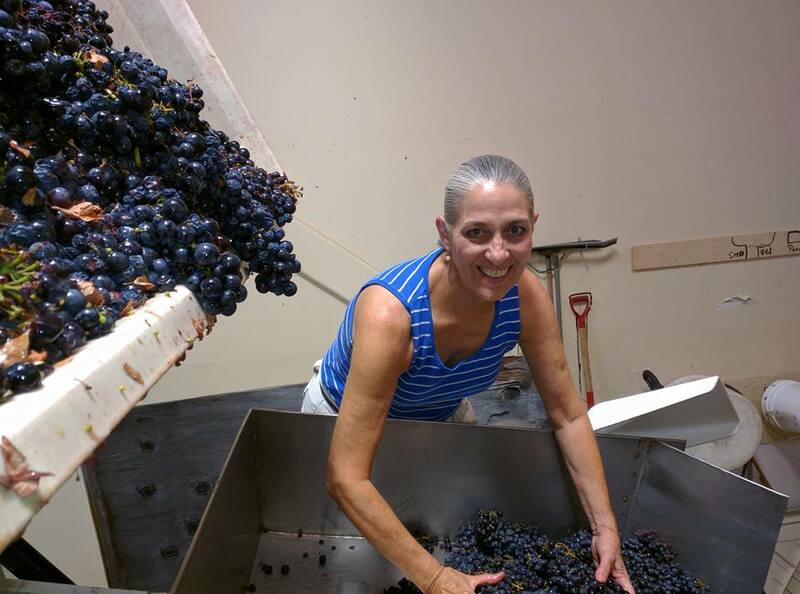 Winemaker Erik Miller purchases the grapes for this perennial NCWC favorite from Randy Peters; Pauline is Randy’s mother. 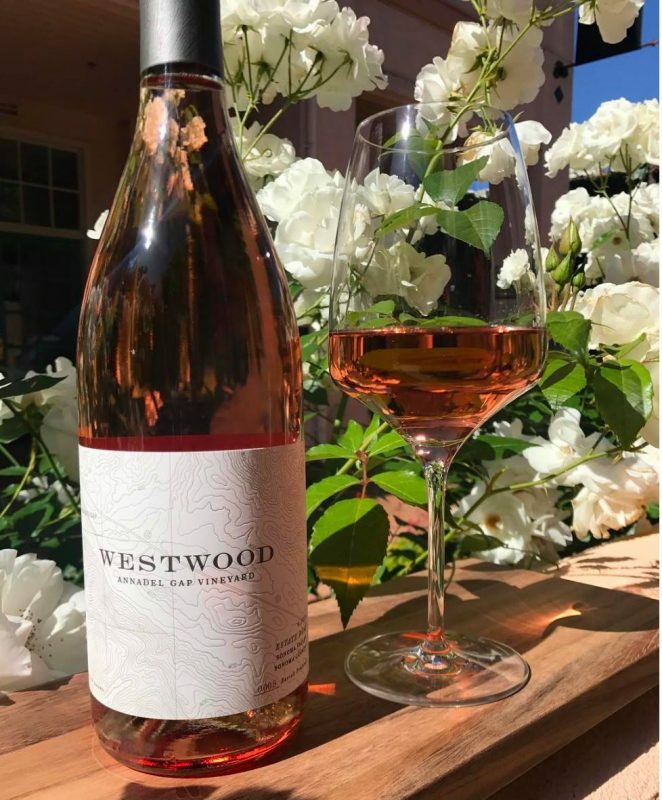 Freshcut watermelon is the signature characteristic in this pretty wine, joined by hints of succulent strawberry, nectarine and ruby grapefruit. Under winemaker Julia Iantosca, Syrah, Grenache and Mourvedre come together in this vibrant, beautifully made wine. 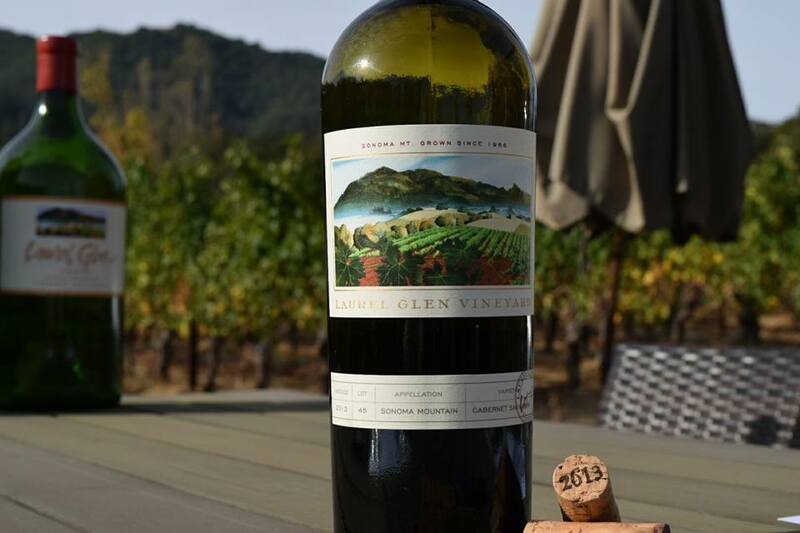 Organically grown grapes from Nancy and John Lasseter’s Glen Ellen vineyard make for a wine loaded with tangy strawberry, cherry and blood orange flavors. Serve it throughout the Thanksgiving meal. 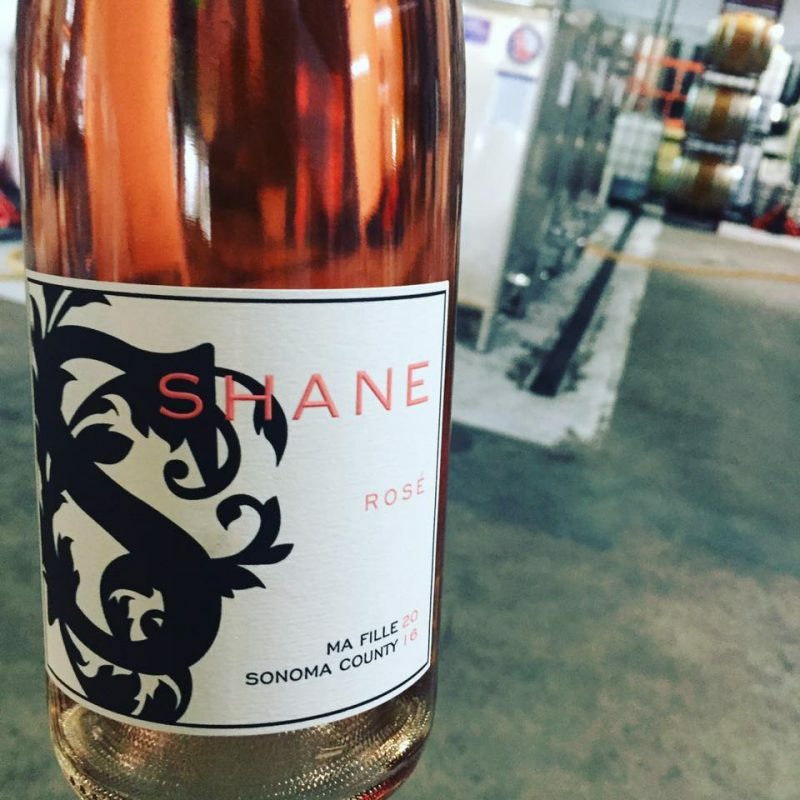 A former winemaker at Paul Hobbs Wines, Kosta Browne and Lynmar Estate, Shane Finley now devotes most of his efforts to his own brand. 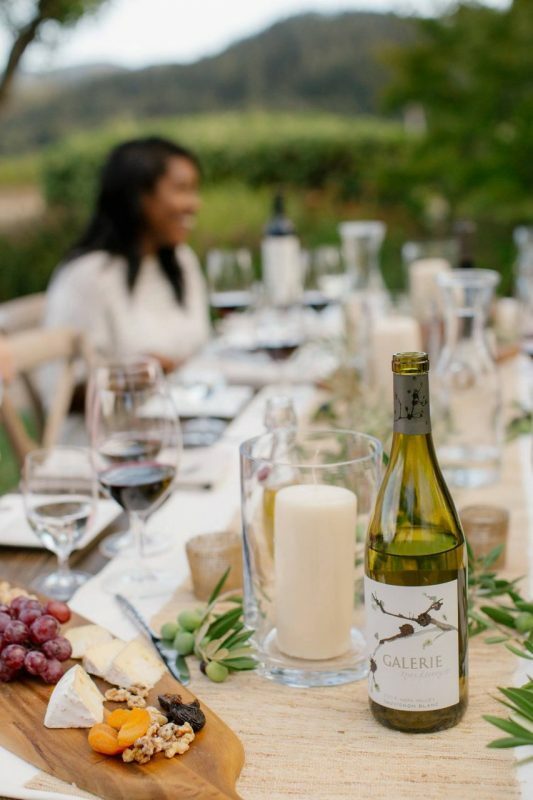 Ma Fille is a blend of Pinot Noir, Syrah and Grenache and offers bright strawberry and cherry fruit, with a tangy citrus note on the palate-whisking finish. 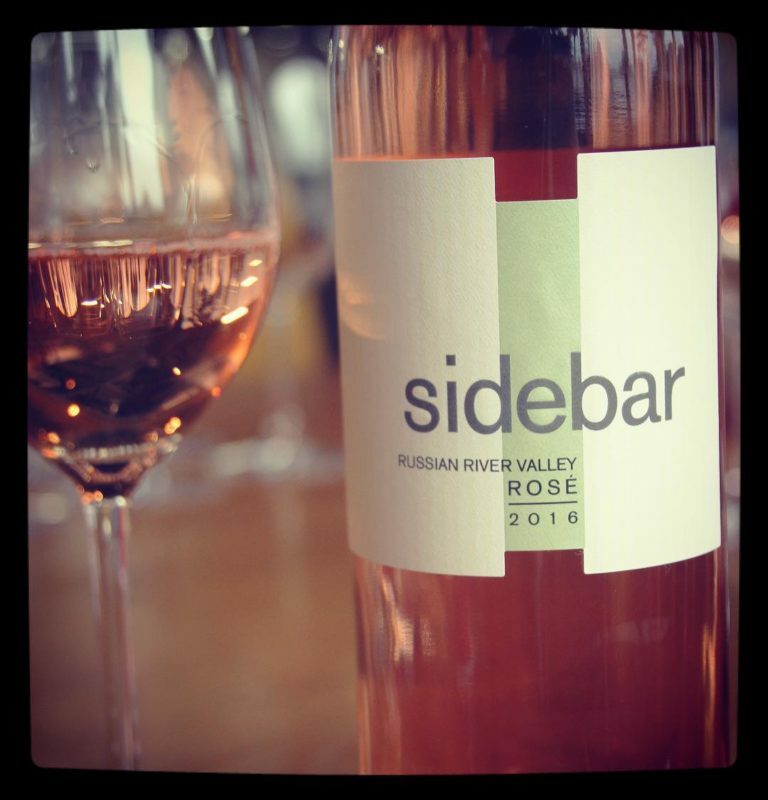 Sidebar is a more casual companion label to Ramey Wine Cellars’ bottlings. 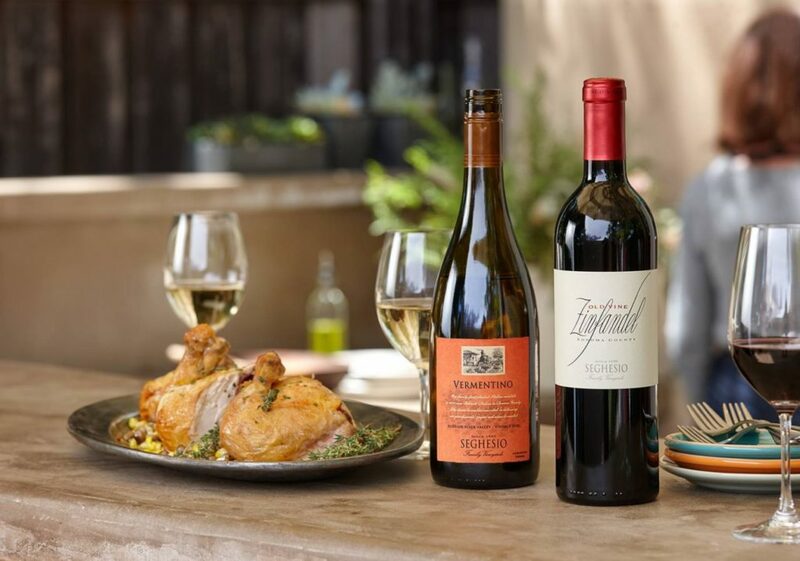 Two vineyards provided the grapes for this generously flavored wine that is also admirably dry and refreshing, with zesty red fruit, citrus and spice notes. Judges at NCWC selected this luscious pink wine as “Best of the Best” — meaning the finest wine of the 2017 competition. Inviting aromas of cherry, wild strawberry and lemon lead to similar flavors, plus cranberry and blood orange. Dry and crisp, it closes with snappy, palate-cleansing acidity. This unique blend of Counoise, Tannat, Pinot Noir, Mourvedre and Syrah scored 97 points at NCWC and impressed judges with its seamless texture, juicy flavors and refreshing, minerally finish. 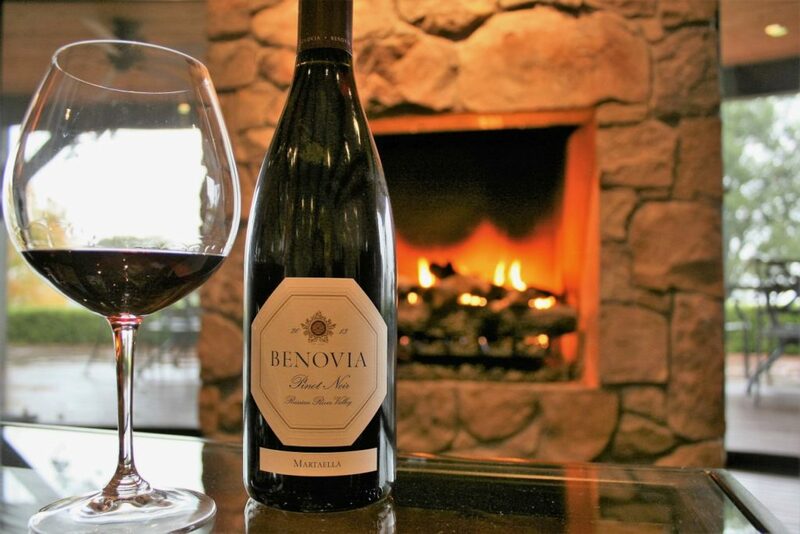 Benovia’s estate vineyard gave winemaker/partner Mike Sullivan the grapes he needed to produce this vibrant wine loaded with floral aromatics, spice, and pomegranate, cranberry and wild-berry flavors. Supple and seamless, it has the structure to age beautifully. 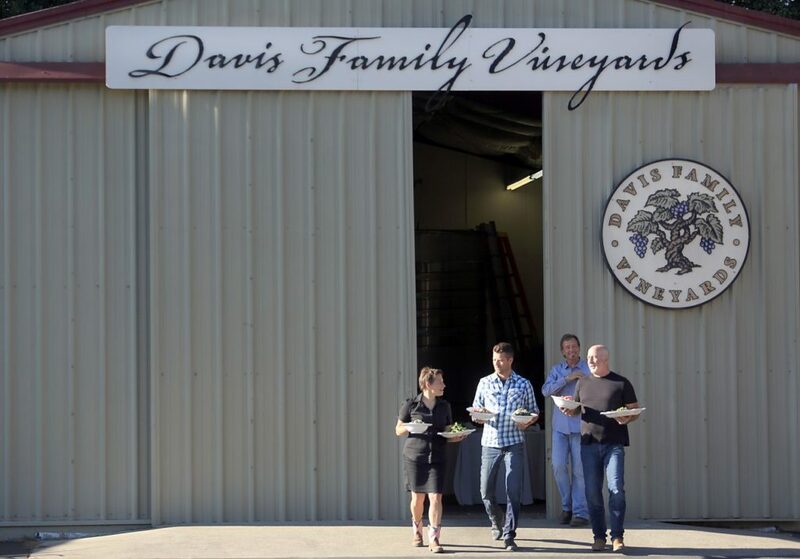 The Bucher family has grown grapes in Russian River Valley for 25 years, selling them to such producers as Williams Selyem and Merry Edwards. They launched their own brand in 2013. This wine is juicy and lush, with vivid red cherry, cranberry and pomegranate fruit, baking-spice complexity and refreshing acidity. It’s sumptuous and satisfying. This fairly priced Pinot has a forest-floor edge that adds interest to the dried cherry and fresh berry fruit. It’s medium-bodied and lithe, with a citrus note on the clean finish. Guy Davis makes a range of Pinots from Russian River Valley, and this is his flagship, a blend of grapes grown throughout the region. It offers lively cherry fruit, hints of cola, sarsaparilla and spicy oak, and goes down ever so easily, thanks to its silky texture. Savory spice, forest floor, black truffle and licorice notes join rich red, black and blue fruit in this luxurious wine with velvety tannins and mouthwatering acidity. 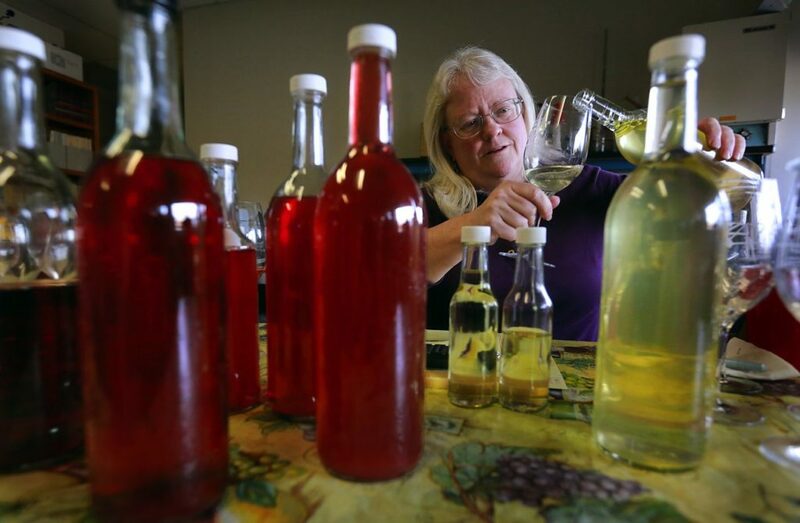 It’s heady and “big” for a Dutton-Goldfield wine, yet clocks in at just 13.9 percent alcohol. Silky tannins, bold black cherry and plum fruit, toasty oak and savory spice highlight this concentrated, full-flavored Pinot. Refreshing acidity ties it all together for a balanced drink. Smoky oak and inviting violet and cola aromas lead to a mouthful of juicy black cherry and blackberry fruit in this generous wine. A licorice note adds interest, and the finish is crisp and lengthy. 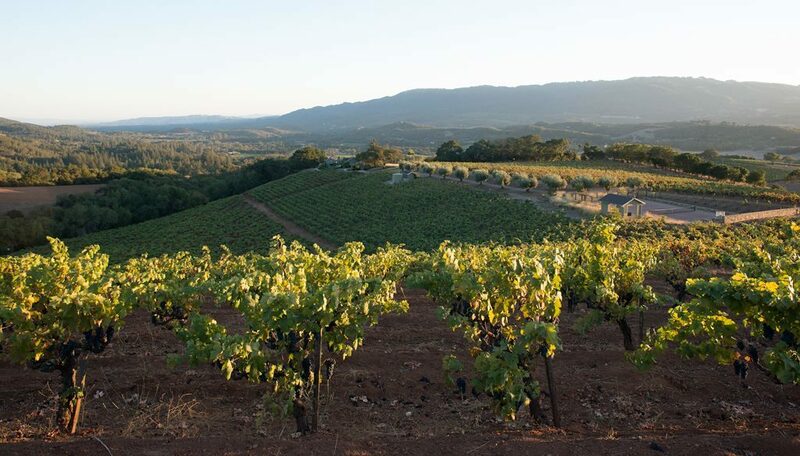 From the Petaluma Gap region in the Sonoma Coast AVA comes this firm, savory wine that displays black cherry, blackberry, forest floor and sandalwood character. Vanillin oak and spice add a layer of complexity. This wine is elegant and enticingly aromatic, with violet and rose petal aromas leading to a supple, soft and sultry palate of fresh raspberry and red cherry fruit. It’s an elegant expression of Pinot Noir. 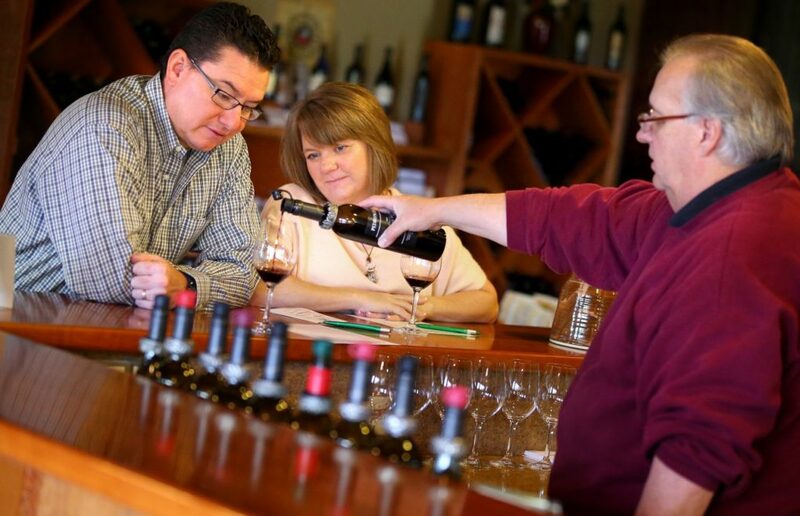 Edwards has sourced grapes from Bob Pellegrini’s Olivet Lane Vineyard for more than 25 years. From there in 2014, she made a medium-full-bodied wine with purity of fruit (juicy dark cherry and wild berry), seamless texture and a savory, woodsy element that appears upon aeration in the glass. 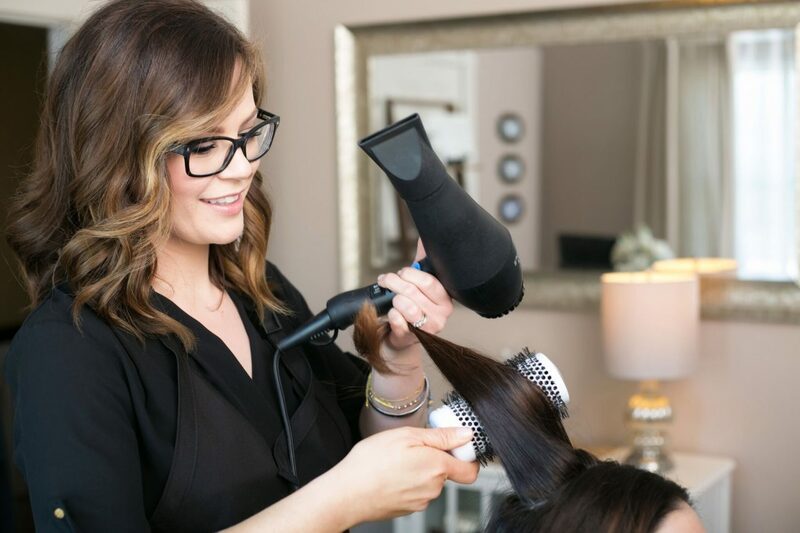 Be sure to swirl. Purchase this wine now, before its price escalates to match its quality. Effusively floral aromas lead to a palate of juicy black cherry and boysenberry fruit. Bright acidity and solid structure make it a wine for cellaring, yet ready to drink now. 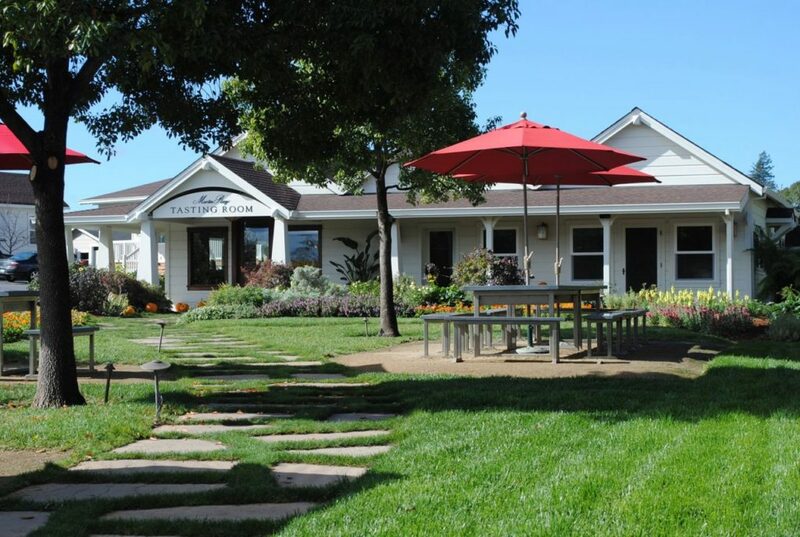 Named for chief winemaker Steve MacRostie’s wife, Thale (THAY-lee), this inaugural bottling from the estate vineyard on Westside Road is arguably the winery’s “biggest” Pinot Noir. Yet it’s still balanced and refined, with silky texture and refreshing acidity carrying the juicy black currant and blueberry fruit and hints of mocha and spice. 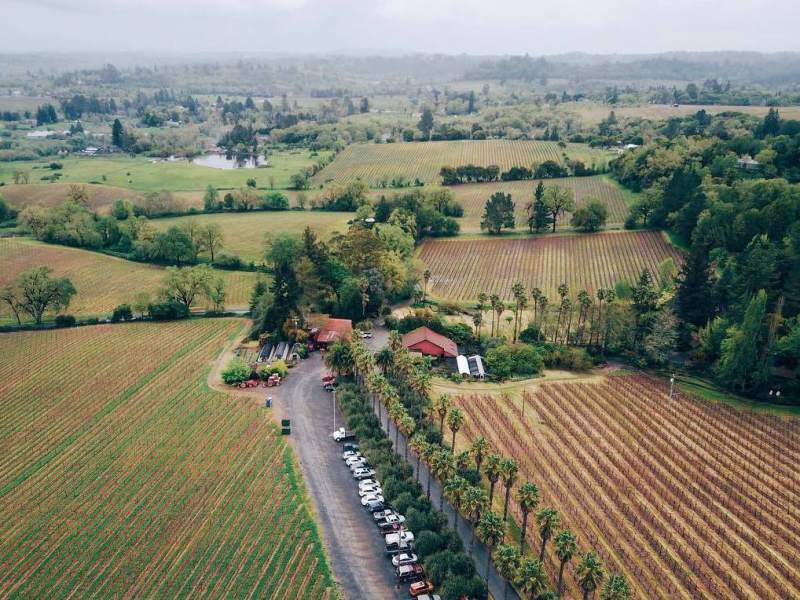 “Grape whisperer” Chuy Ordaz and his winemaking son, Eppie, have a long-term lease on the Placida Vineyard in Sebastopol, which allows the Sonoma Valley-based duo to produce this Pinot Noir from the cooler Russian River Valley. It’s bright and juicy, with cherry, strawberry, cola and woodsy truffle notes. Layers of forest floor, spice, sarsaparilla, blackberry and pomegranate unfold from first sniff to finish in this structured, focused wine. It’s boldly flavored yet balanced, with uncommon complexity for a Pinot Noir at this price. A vivid floral aroma leads to a nicely balanced, energetic palate of juicy red cherry, raspberry and cranberry fruit, with subtle spice from oak aging. Finessed rather than powerful, it’s complete and charming. This producer makes a number of single-vineyard Pinot Noirs, though this easier-to-find wine is a multi-vineyard blend. It’s silky and luscious, with sweet-tart cherry, raspberry and pomegranate aromas and flavors. The finish is saliva-inducing, begging for a bite of salmon or mushroom risotto between sips. The intensity of fruit and spice that comes from old Zinfandel vines (Winberrie was planted around 1906) is evident in this wine. The first thing that stands out is the essence of black pepper, which adds depth to the ripe, succulent dark berry/ dark cherry profile. Crisp acidity cuts through the richness. Boldly flavored, plump and powerful, this Zin smells like a briary blackberry patch, with flavors of wild blackberry, dark cherry, licorice and baking spice. Fire up the grill. 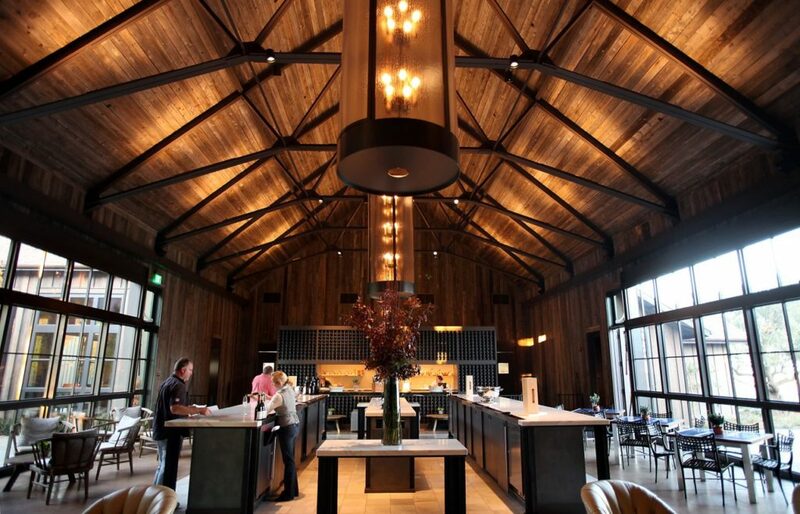 Just as its name implies, this wine comes from 100-plus-year-old vines on the Kunde estate in Kenwood. Deep aromas and flavors of black cherry, red raspberry, licorice, brown sugar and bittersweet chocolate all come at just 14.8 percent alcohol, quite low for a wine this intense and rewarding. 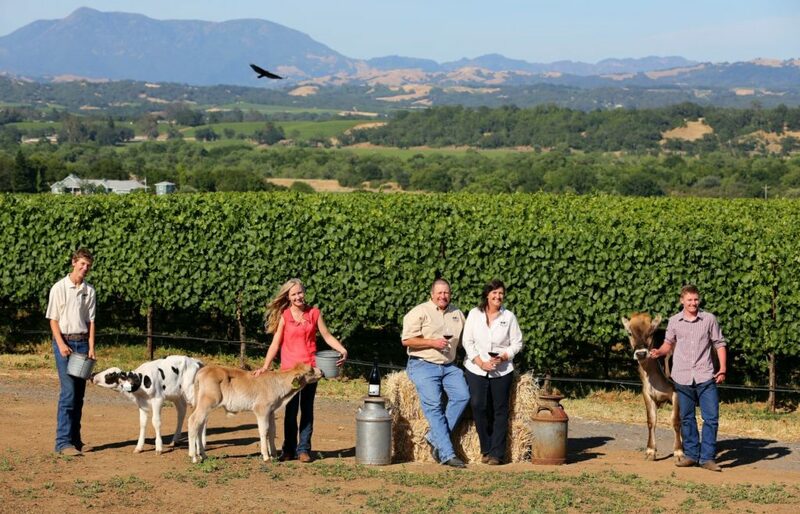 The Bilbro family has the magic touch when it comes to Zinfandel production. This flagship bottling, sourced from vines planted by Italian immigrants in the early 1900s, is a field mix of Zinfandel, Peloursin, Negrette and Petite Sirah. It’s remarkably poised and polished, with vibrant dark-berry fruit, exotic spice and juicy acidity. 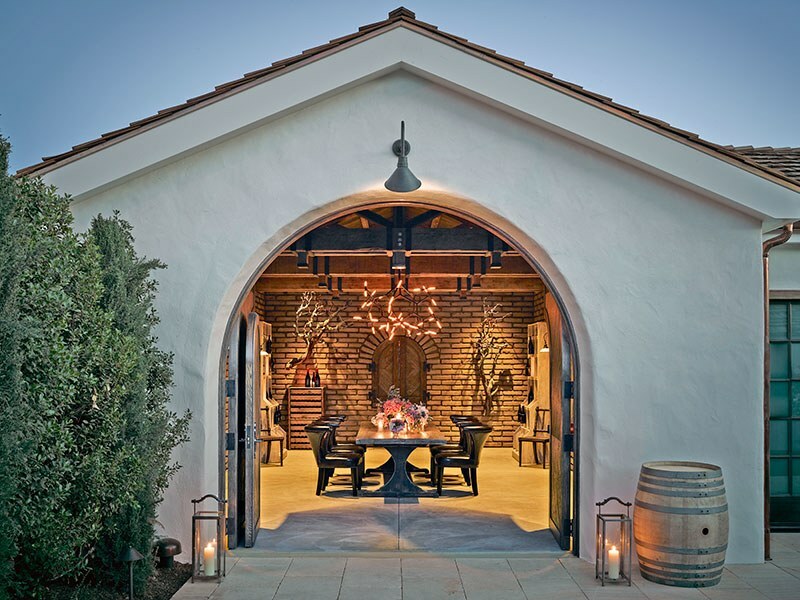 Affordability has long been a Pedroncelli calling card, and the winery — celebrating its 90th birthday in 2017 — delivers again with this supple, juicy Zin with wild berry, black cherry, vanilla and baking spice aromas and flavors. The finish is clean, fresh and long. 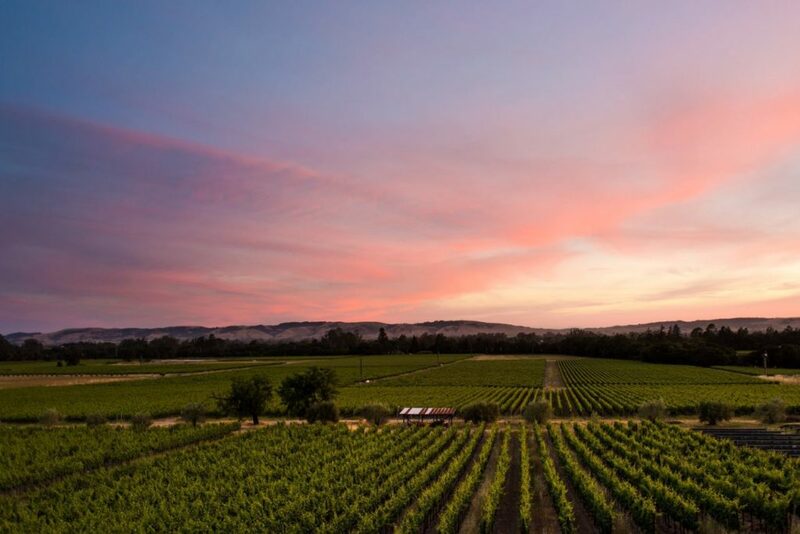 This bottling celebrates the 50th vintage of the Geyserville label, and it’s comprised of 70 percent Zinfandel and lesser amounts of Carignane, Petite Sirah and Alicante Bouschet. 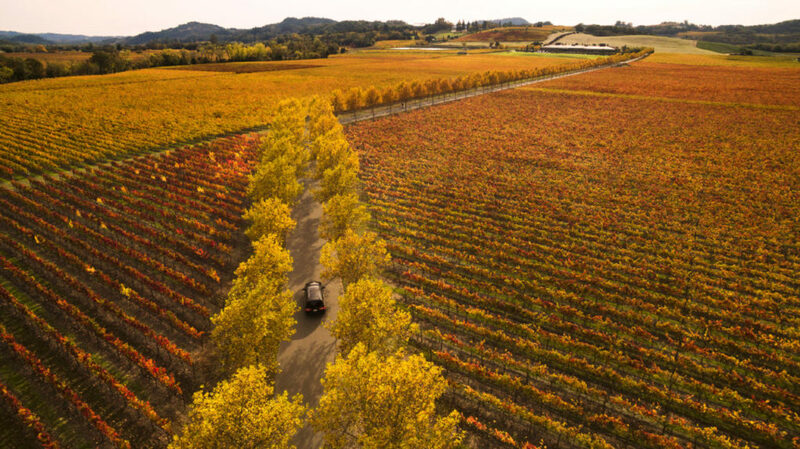 Though the amount of Zinfandel in the blend varies from year to year, it’s always the key component in this suave, supple wine with a track record for aging beautifully, thanks to its solid structure. This wine comes from a vineyard originally planted in 1895 by Edoardo Seghesio. 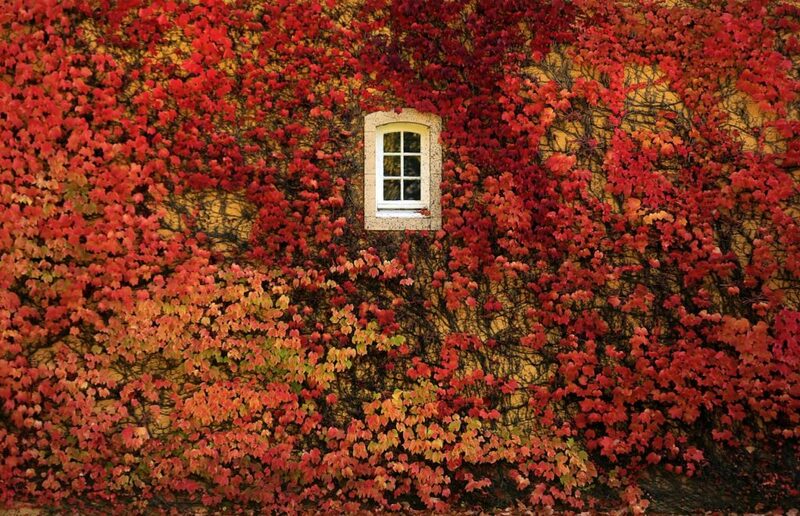 Wines from such old-timer plantings can come at a steep price, since their grape production is so low as to be nearly financially unviable. So $58 is a small price to pay for drinking history, in the form of brambly blackberry and plum flavors, suave tannins and graham cracker character. 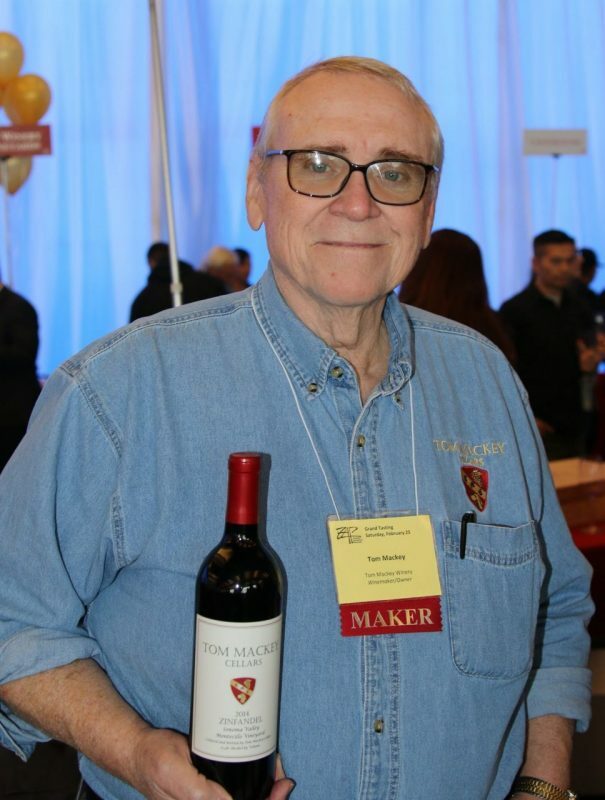 Mackey, founding winemaker at St. Francis Winery & Vineyards, retired in 2011 after 29 years. He’s back, with his own brand (with partners Clyde Galantine and Graham Parnell) and a Zinfandel that is old-vine and old-school, with intense blackberry fruit, lots of spice and the structure to stand up to the boldest of grilled flavors. 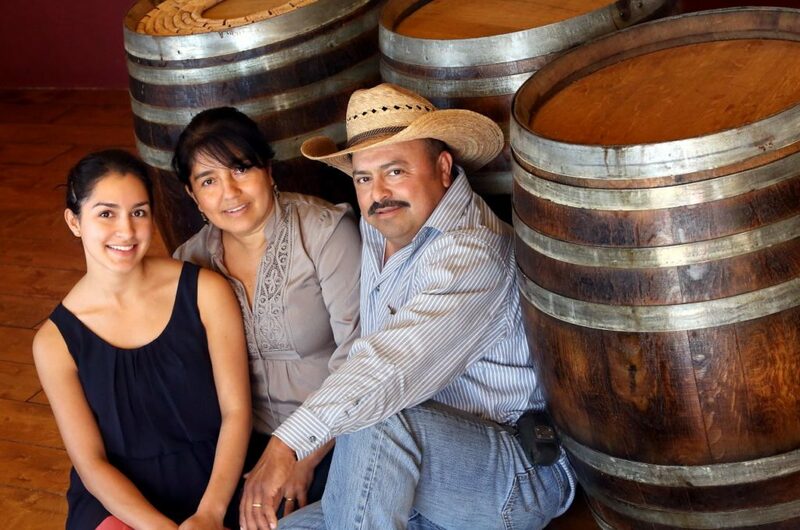 Ulises Valdez has farmed this 120-year-old vineyard near Cloverdale for more than two decades, and handles it with the same care he would a newborn child. 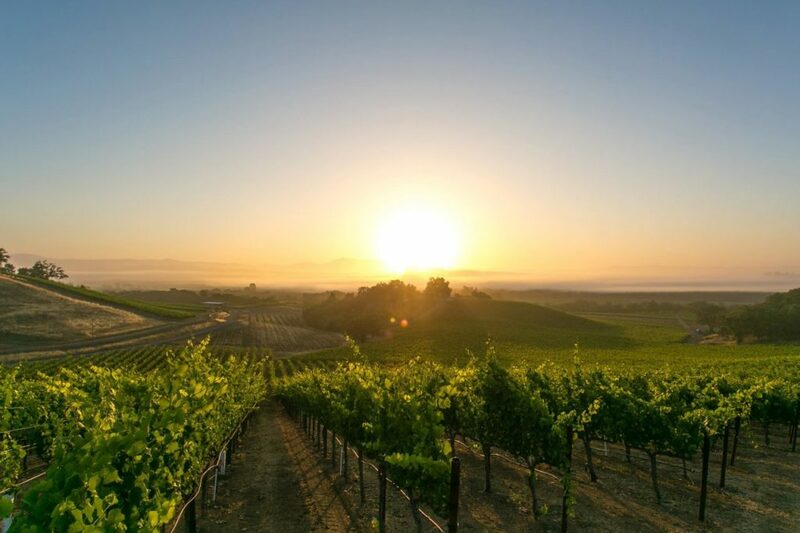 This zin is densely colored and intensely flavored, with ripe black cherry and plum fruit accented by hints of sandalwood, black pepper, menthol and mocha. Rich and muscular, it deserves service with medium-rare steak. Wilson, a Zinfandel specialist, won the Best of Class award at NCWC with this wine, topping all other Zins. Plush and jammy, it offers generous blueberry and blackberry flavors, hints of vanillin, cherry cola and licorice, and finishes long and slightly sweet. Great with glazed ribs. 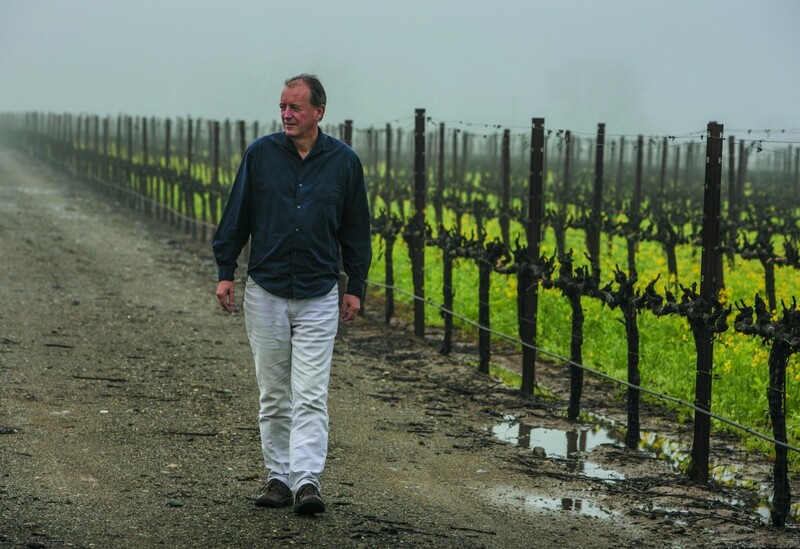 Bill Canihan’s vineyard is at a cool conjunction of the Carneros and Sonoma Valley appellations. 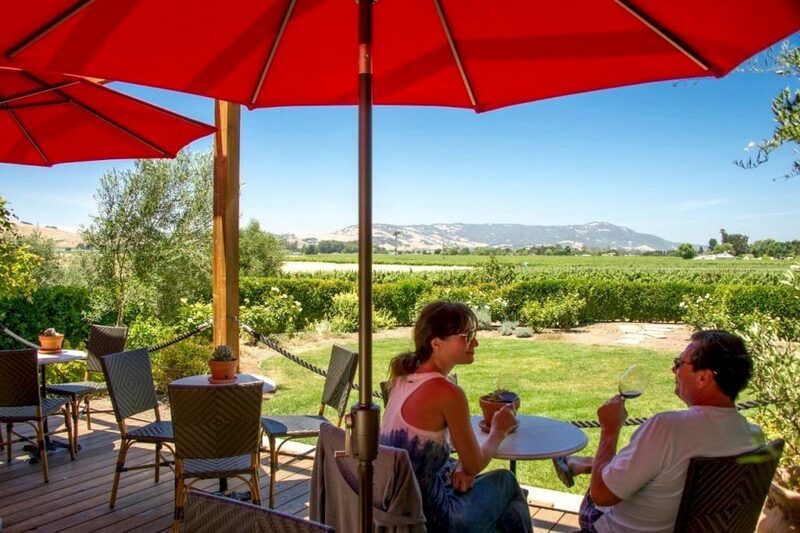 His wine is a refined example of cool-climate Syrah, with Pinot Noir-like precision, vivid red and black fruit, and accents of anise and black olive. 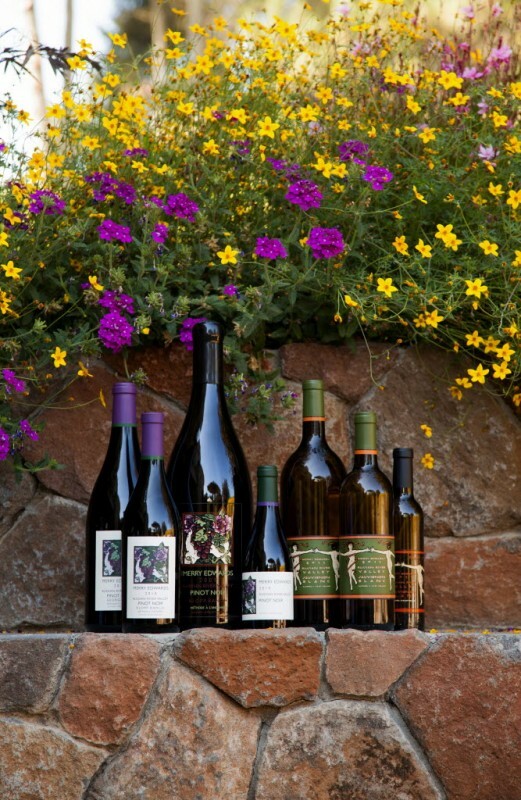 Jack Florence’s vineyard in northern Dry Creek Valley produced this bold, fruity wine in the hands of Carol Shelton. Jammy like Zinfandel, this Petite Sirah offers black raspberry and blackberry fruit coated in melted chocolate and sprinkled with baking spice, with a bright, crisp finish. Syrah and a splash of Viognier meld in this seamless, smoky, meaty wine with blueberry compote, black raspberry and spice aromas and flavors. It’s full-bodied yet balanced, with a fresh finish. A gold medalist at NCWC, this supple, energetic wine gushes with ripe cherry pie and raspberry fruit character on the first sip. With aeration, savory notes of peppercorn and sweet spice emerge. Excellent tannin structure. 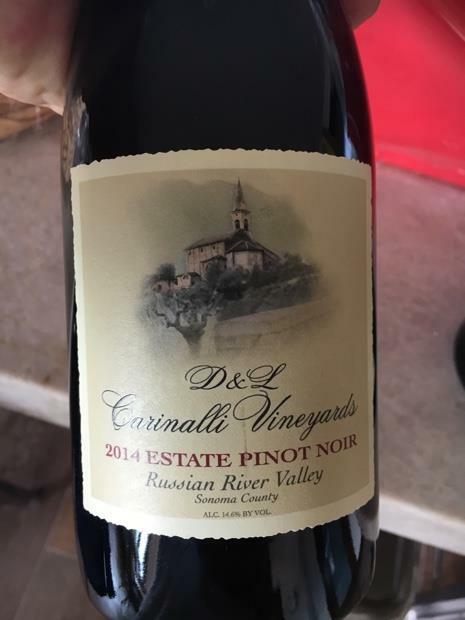 It’s as supple as a Pinot Noir in texture, yet the aromas and flavors are all Syrah: White pepper, potpourri, blueberry pie, blackberry, black cherry, baking spice and subtle meatiness. 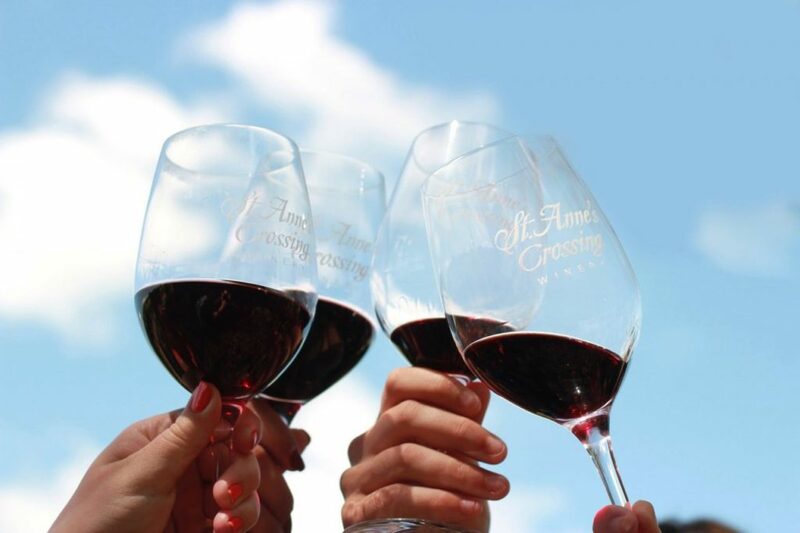 Scoring 97 points and awarded Best of Class status at NCWC, this wine boasts vibrant black cherry and blackberry fruit melding seamlessly with savory notes of allspice, dried herbs and smoke. Its density and richness is offset by mouthwatering acidity. 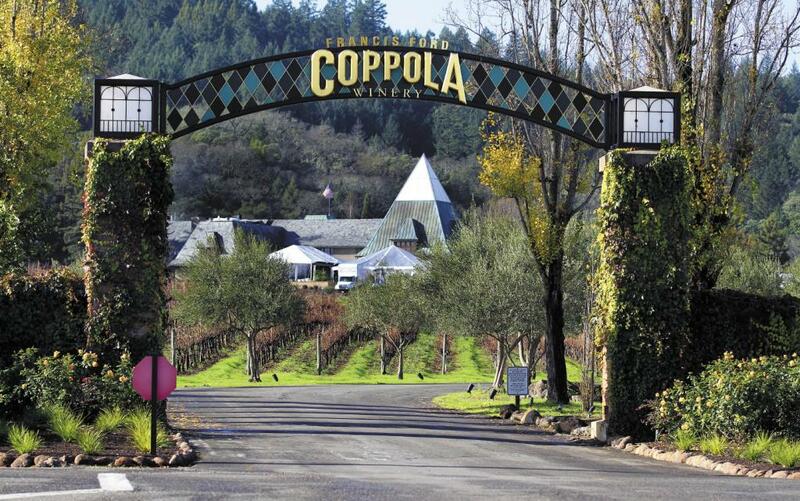 Brooding in the way Petite Sirah fans expect, this NCWC Best of Class winner is powerful and dense, with muscular structure, black cherry, plum and blueberry fruit, oak toast and savory spice. Medium-full-bodied and supple, it’s packed with blackberry, black cherry and plum fruit. At a reasonable 14 percent alcohol, and with bright acidity, it satisfies with a lamb burger and lamb roast. 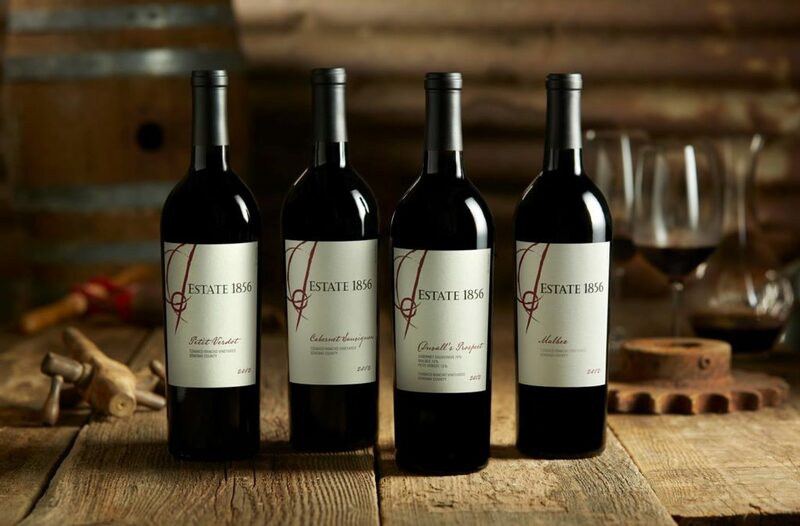 Here is an outstanding value in Cabernet, with all the personality one would expect in a more expensive wine, conjuring rich black cherry and black currant fruit, cedar and oak spice. It’s got a lengthy, fresh finish and a firm tannic backbone for aging, yet is also delicious now. Oak gets top billing on the nose, with sandalwood, spice, mocha and ground coffee aromas. Yet there is plenty of rich dark-berry and black cherry fruit to maintain balance in this broad-shouldered, rewarding wine — a 97-point scorer at NCWC. NCWC judges gave it 95 points for its firm structure, textbook cedar, forest floor and cassis character, and toasty French oak. A flagship wine from Francis Ford Coppola, Archimedes is as serious as Cab gets and should age beautifully for a decade or more. This amazing-value wine, a Meritage-style blend of Merlot, Cabernet Sauvignon and Petit Verdot, is medium-bodied, rich and smooth, with a lingering, juicy finish. The tannins are supple, the oak influence slight and the drink-now factor high. It’s a superb wine for a crowd. Merlot, Cabernet Sauvignon and Malbec from the winery’s Rhinefarm vineyard and sites in the Mayacamas Mountains mesh in this bargain red. It’s soft and easy, with blackberry, black cherry and pepper character. An honest drink at a great price. This NCWC Best of Class wine is plummy and supple, with hints of smoke, earth and spice. The black plum and black cherry fruit is accented by complex notes of cola, black olive and mint. 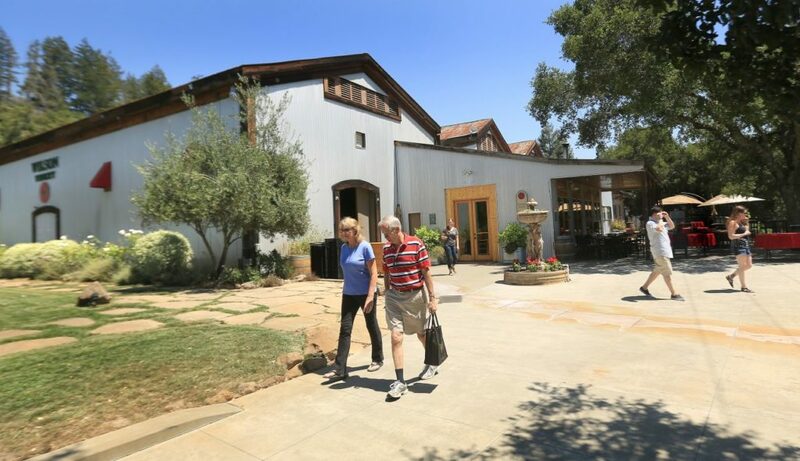 John and Nancy Lasseter, with winemaker Julia Iantosca, produce wonderful wines at every turn. This Merlot-Cabernet Sauvignon-Malbec-Cabernet Franc blend is a standout, sumptuous and supple, with plum and black cherry flavors and a savory herbal edge for interest. 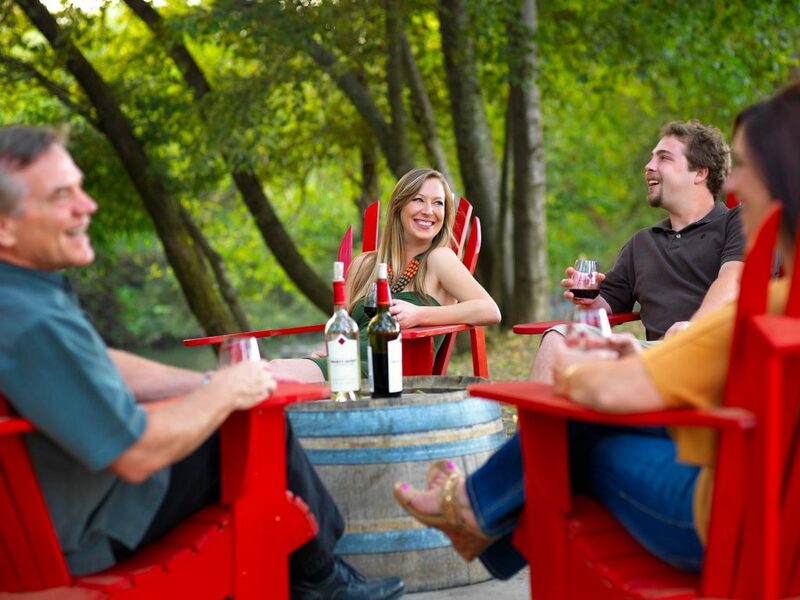 Cabernet Sauvignon stands alone in this wine, made from organically grown grapes on the Sonoma Mountain estate. It has a distinctive mineral note in the aroma and taste, with scintillating acidity adding brightness and succulence to the black cherry and black currant fruit. Velvety tannins wrap around the rich black cherry and plum fruit, and notes of wood spice and café au lait add to the complexity and balance of this NCWC gold-medal-winning wine. 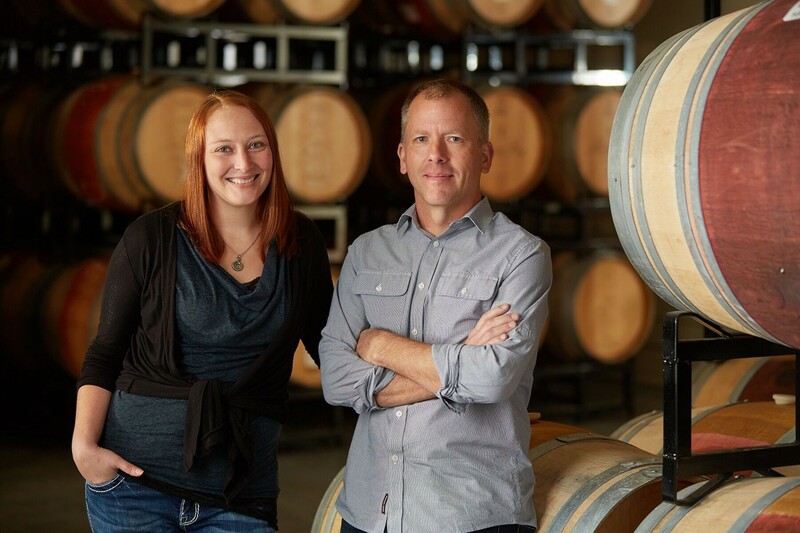 Buzz Seaton is the man behind this brand and Red Buzz, a blend of Bordeaux grape varieties. The wine, which scored 97 points at NCWC, is big, bold and full-bodied, with solid acid and tannin structure that suggests long-term aging. 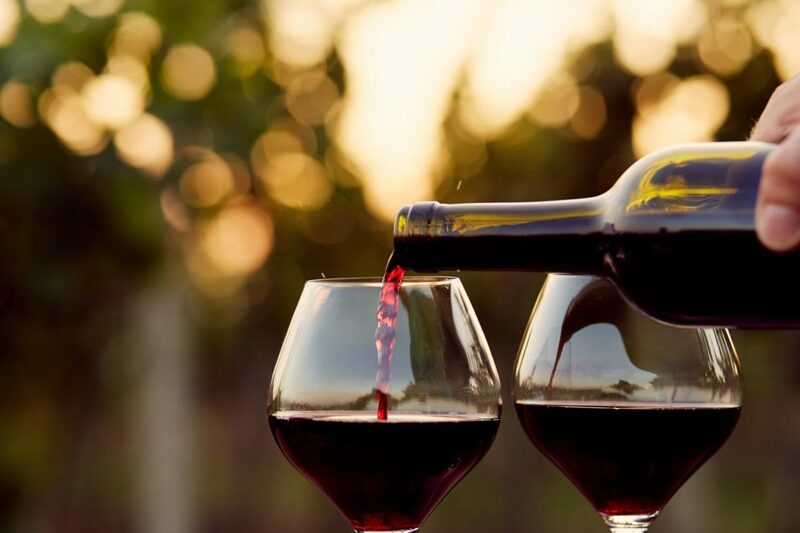 It’s rich, soft and juicy, just as many love their Merlots, with luscious plum and dark berry fruit accompanied by notes of dark chocolate, vanilla, espresso and toast. It was awarded 97 points at NCWC. 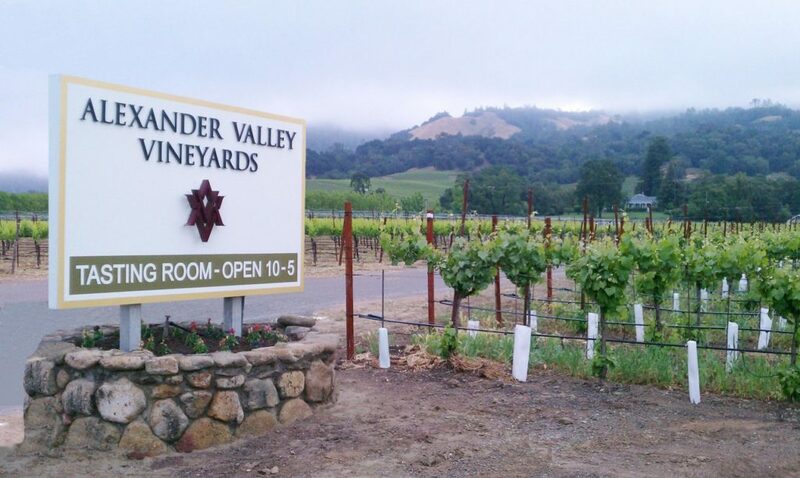 This is textbook Alexander Valley Cab, unafraid to show its savory side. Dried herbs, licorice, cedar and forest floor notes add interest to the well-ripened black cherry and black currant core. Medium-full-bodied and muscular, it will benefit from aeration now, or a few years in the cellar. Merlot from the Sonoma Coast? 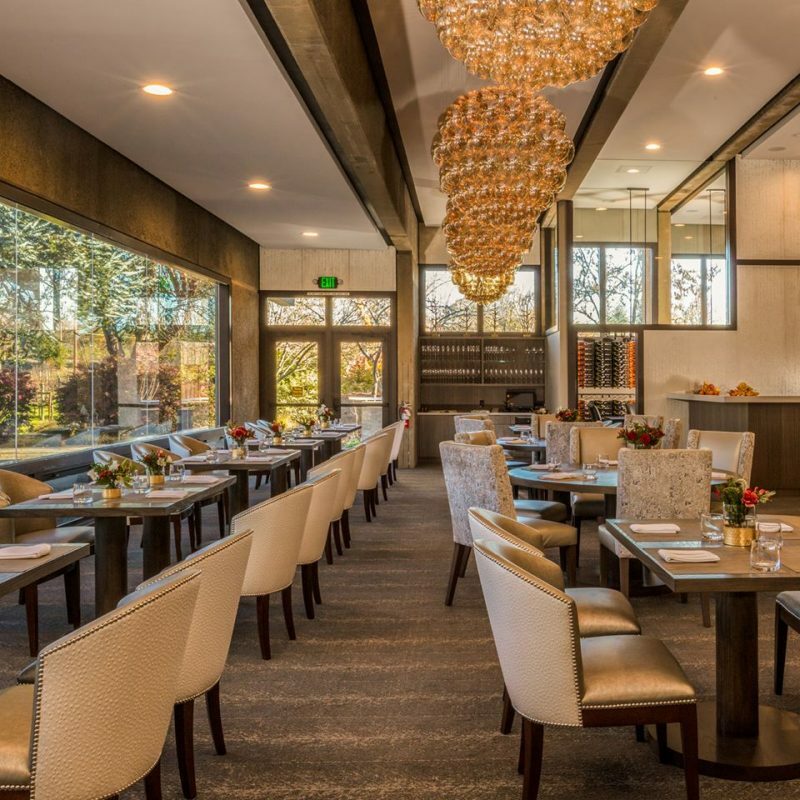 You bet, as the appellation extends from the coast to eastern Sonoma County, near Sonoma Raceway and Highway 37, where Thirty Seven is located. Growing-season temperatures are warm enough to ripen Merlot, and this NCWC Best of Class wine (96 points) delivers impressive plum and dark berry fruit, silky mouthfeel and crisp acidity. This blend of Petite Sirah, Petit Verdot, Syrah, Cabernet Sauvignon and Grenache sounds like it’s made from leftovers, yet the stew melds beautifully. NCWC judges awarded it Best of Class for its deep, dark and decadent black fruit seasoned with spice and cocoa. Named for the winery’s address on Highway 12 in Kenwood, this Margo Van Staaverenmade wine is a blend of Petit Verdot, Merlot, Cabernet Franc, Malbec and Syrah. It’s unusual and delicious, with jazzy raspberry, blackberry and Santa Rosa plum aromas and flavors kissed by hints of mocha, spice and blueberry pie. 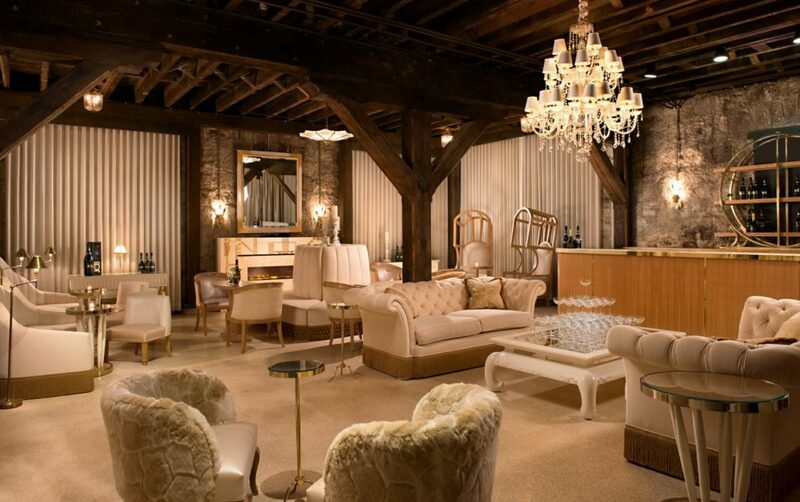 Its polished elegance earned it a gold at NCWC. Black and blue fruit (blackberry, blueberry) fills the mouth in this gold-medal winner from NCWC. It has elegant texture and sparkling acidity, adding lift to the powerhouse fruit and sturdy tannins. 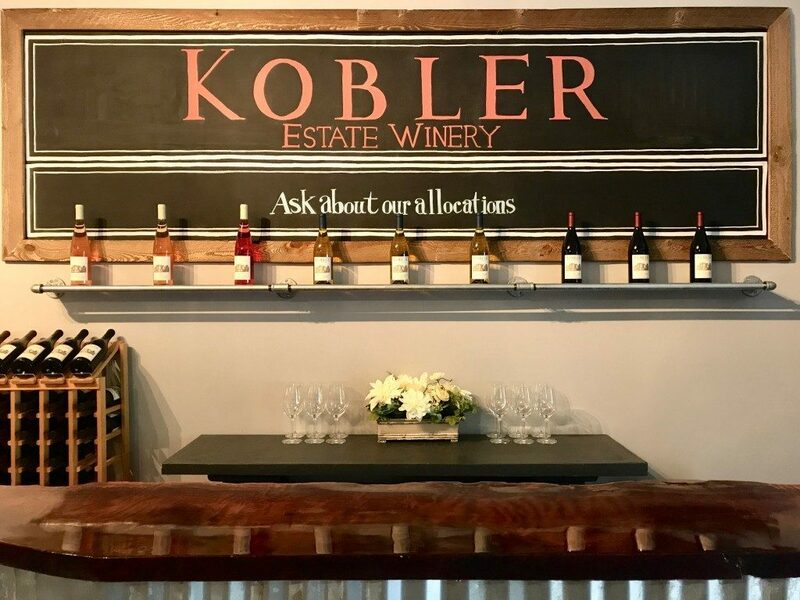 It scored an impressive 98 points at NCWC for its textbook varietal character of tart cherry tinged with dried herbs and balanced by bright acidity. Perfect for any tomato-based dish, it also has notes of plums and red currants, with an earthiness and herbaceous elements that marry harmoniously. It’s sleek, full flavored and balanced to perfection. 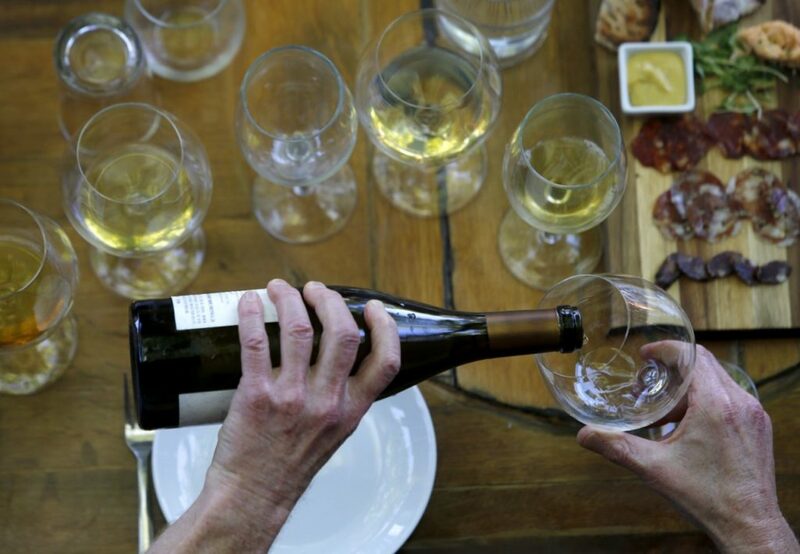 Sonoma wine critic Linda Murphy selected the Top 100 Wines of 2017, combining her yearlong tastings with the highest-scoring wines from The Press Democrat 2017 North Coast Wine Challenge. 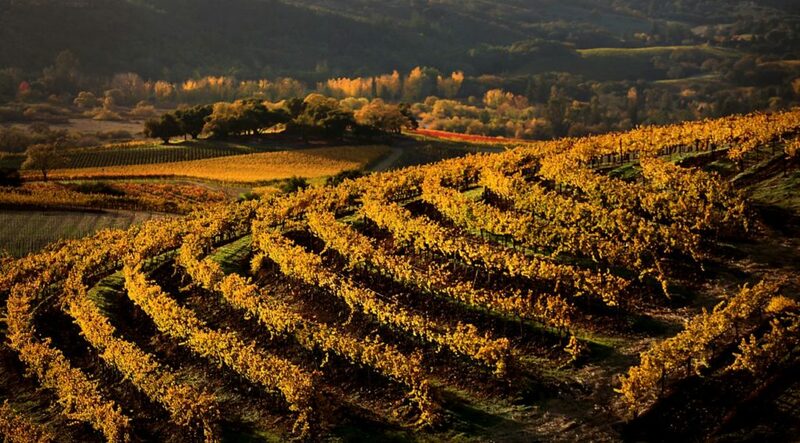 Only wines produced from Sonoma County-grown grapes, by wineries located in the county, were eligible for the Top 100. 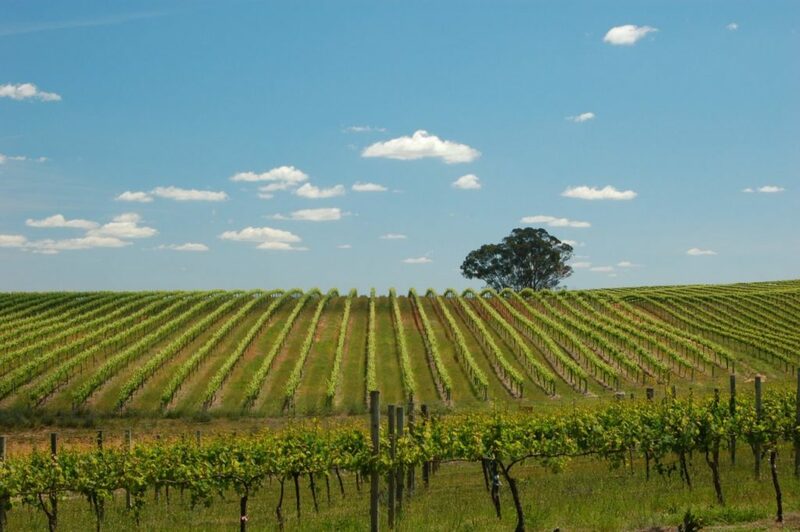 Diversity in price, grape variety and geography were important factors in determining the list. 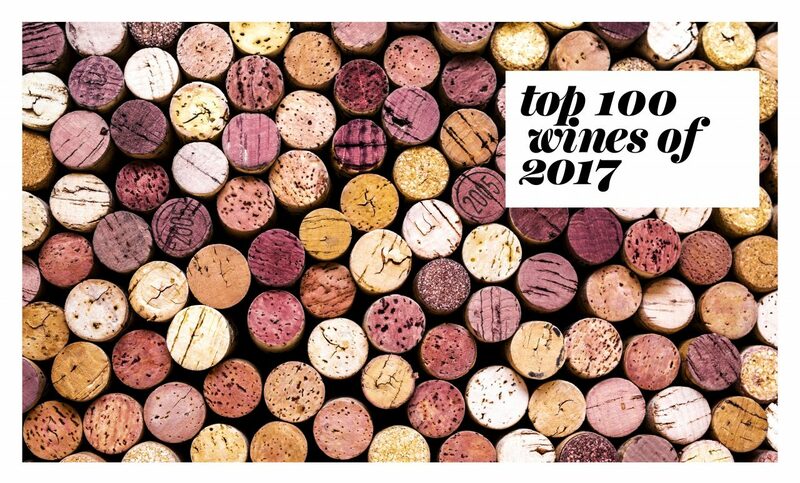 All Top 100 wines were released in 2017, although some may no longer be available. 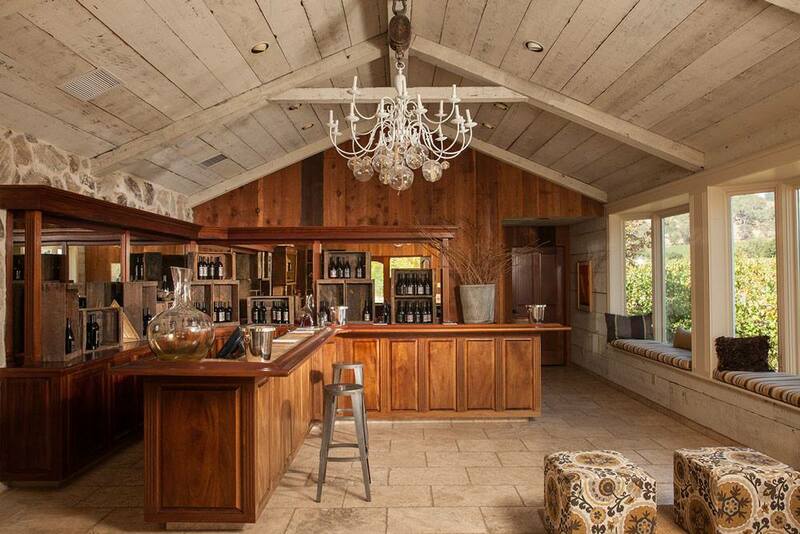 Hot wines sell fast, so it you can’t find a particular Top 100 wine, contact the winery for information. 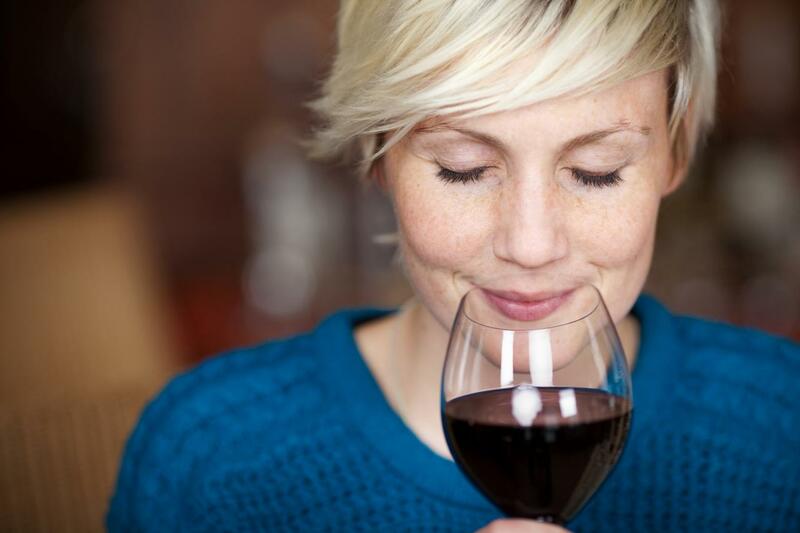 Also consider purchasing an older or newer vintage of the wine, particularly for reds. 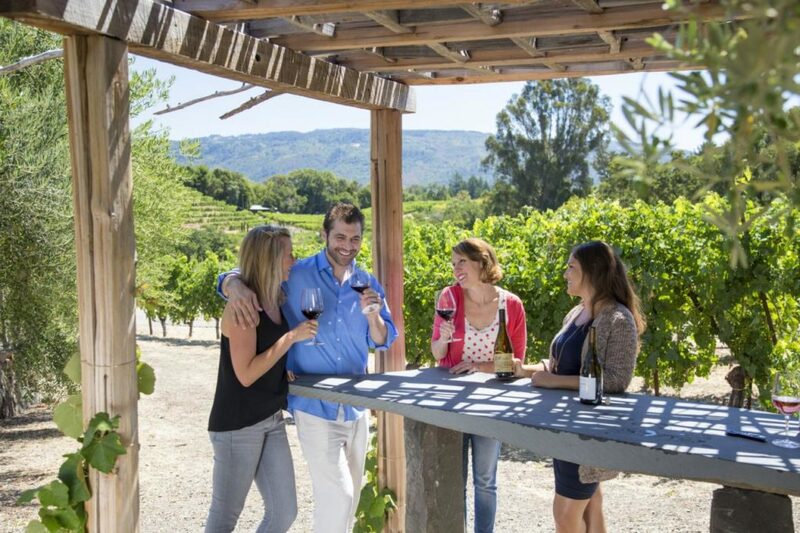 Sonoma-made wines are remarkably consistent in quality, year after year, so it’s difficult to go wrong. 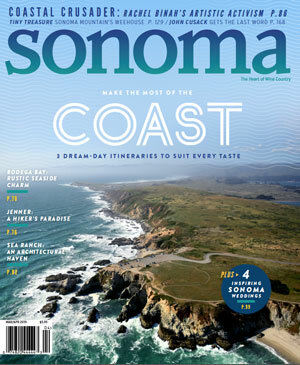 A former managing editor of Sonoma Magazine, Linda Murphy writes the LikeWine column in each issue, was the first editor of the San Francisco Chronicle wine section, and contributes to Decanter magazine, jancisrobinson.com, Sunset magazine and Food & Wine magazine’s annual wine guide.